Heritales Film Festival aims to disseminate filmic nature of narratives, digital and graphic that apply to the Cultural Heritage. 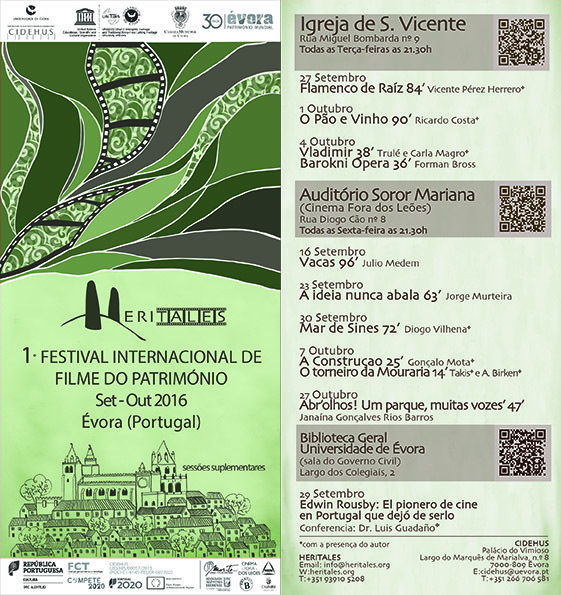 The event will have as main mission the dissemination of heritage material and immaterial content, and simultaneously promoting the experience of heritage spaces, historical and cultural city of Évora in the South of Portugal. Among the forms of action proposes the image projection in public space, as well as within the cultural facilities of the city. Such measures, framed in community outreach strategy will be a stage of exchange and sharing. They already call him “our man in UNESCO”. 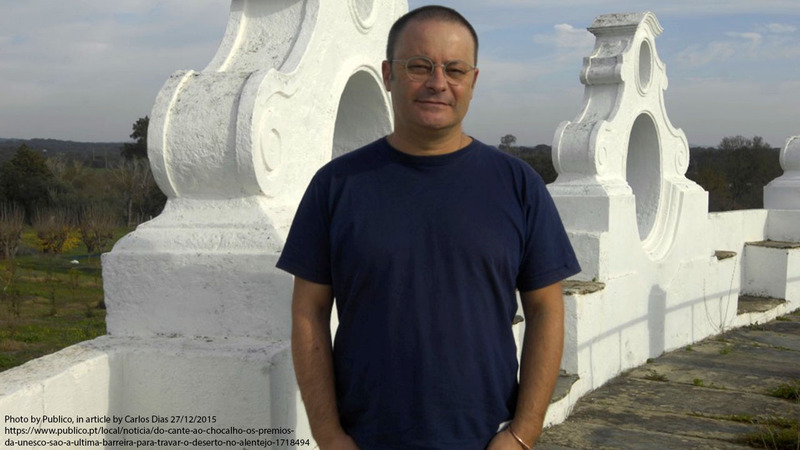 Paulo Lima, Alentejo Sines, 49, anthropologist, descendant of herdsmen and fishermen, he was nominated in the rank of fado in 2011 and of the chant in 2014 and of “chocalhos” in 2015. In the Fado, was the author of a previous study and integrated executive committee of the award. 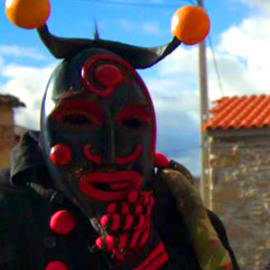 Three years later he coordinated the candidacy of Alentejo sing the Intangible Cultural Heritage of Humanity. 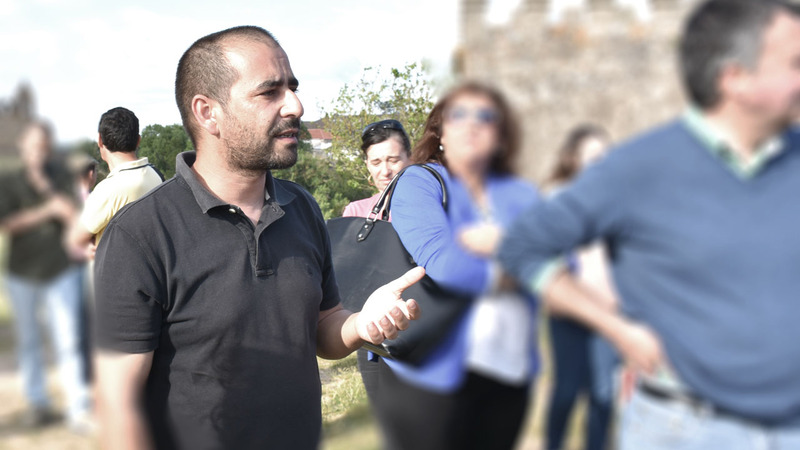 In 2015, he returned as scientific coordinator of a new project, this time with the art of chocalheira with which won the UNESCO award – United Nations Educational, Scientific and Cultural Organization and placed Portugal as an international reference in safeguarding the heritage in danger. Born in Évora (1983), raised in Portel, Alentejo. Licentiate degree at ESTC National Film and Theater School (Lisbon). 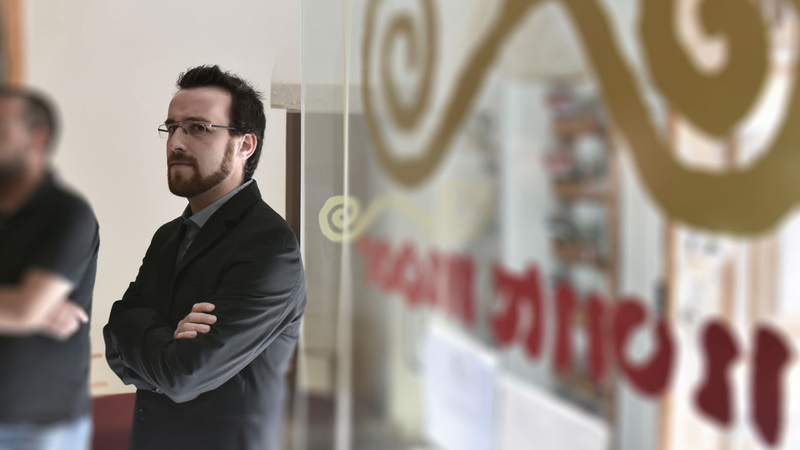 Master degree at Faculty of Social Sciences and Humanities of the Universidade Nova de Lisboa. 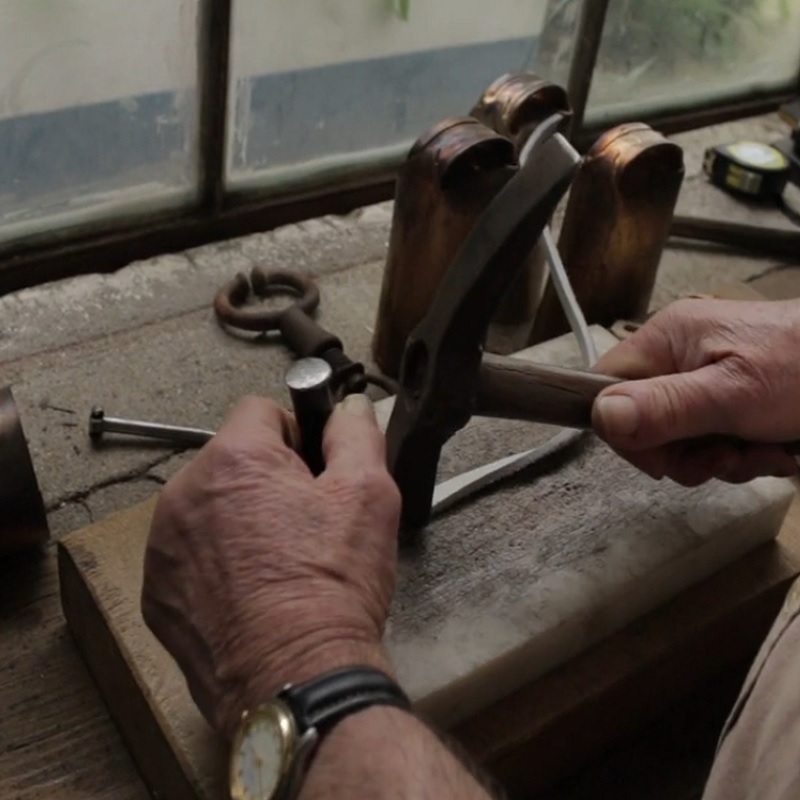 2014: “MANUFACTURE OF COWBELLS” film related to the nomination for inscription on the Representative List of the Intangible Culture Heritage of Humanity UNESCO. 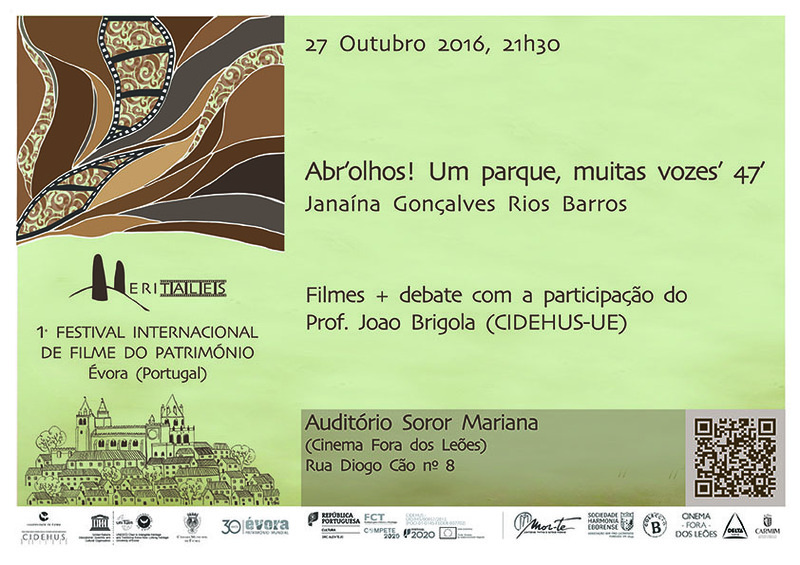 2013: “SÃO JOÃO DE SOBRADO” film related to the nomination for inscription on the Representative List of the Intangible Culture Heritage in Need of Urgent Safeguarding UNESCO. 2013: “LÁ LONGE” (english t. “FAR FROM HOME”). Post-production. 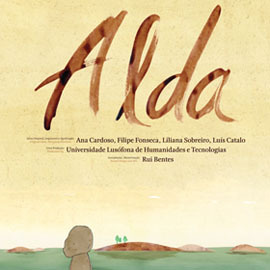 2012: “DEIXA VIR O DE AMANHÃ” (english t. “LET TOMORROW’S COME”) – Short-film – presented in Doclisboa Film Festival. 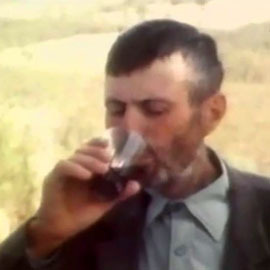 O Pão e o Vinho is contemporary to the tetralogy Homem Montanhês (Mountain Man), a series of four documentary feature films that Ricardo Costa was shooting on the mountains in remote villages: Castro Laboreiro (film), Pitões a village of Barroso, Far away is the city and Further ahead on this road. They are all ethnographic films, with one exception: O Pão e o Vinho is not a pure documentary, since fictional elements have been added as part of the film narrative,in order to strength drama and highlight the nature of the subject (see visual anthropology). O Pão e o Vinho is both docufiction and ethnofiction. A common denominator for these films is that no conventional narrative is used. 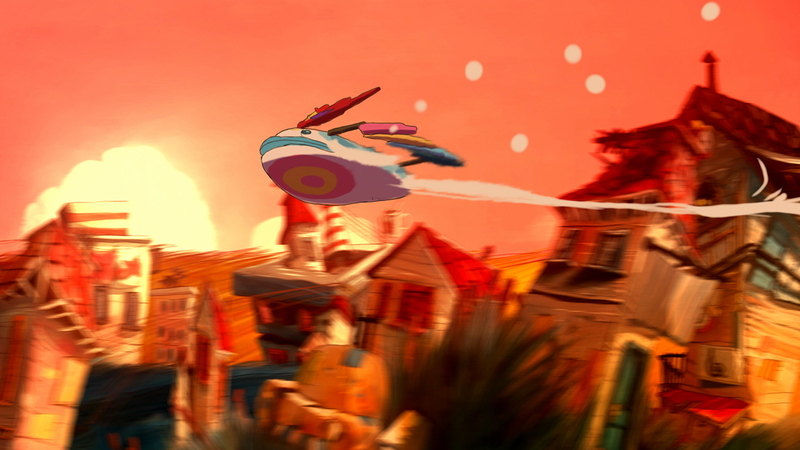 The story is told with poetic ellipses linking alternate actions and situations. Meaning arises from the flow of pictures, from the harmonic association of shots, slowly drawing a human portrait: a survivor. All the Portuguese “ethnographic” films of these period involved passion (the portrait should be touching) and that means they are art films. António Campos, António Reis and some other left important living “documents” of patrimonial interest that will be seen with emotion any time. en that not many know the southwest Portuguese sea: what the sea offers and what the sea claims; the charm the sea and its harsh reality. In a community where cultures, nationalities and generations cross each others. We discover the protagonists of a fishing practice based on traditional arts and respect for resources. The fishing port of the city of Sines and its stakeholders fill the core of the film, but the “Mar de Sines” navigates to other territories: find the last pescadorescabaneiros of São Torpes; runs along the rocky coast with shellfish; listen to memories of the great fishermen; flies on the landscapes of the Ilha do Pessegueiro. By Diogo Vilhena, with production and realization of assistance Antonio Campos, “Mar de Sines” seeks to combine a historical and ethnographic perspective with an aesthetic approach. 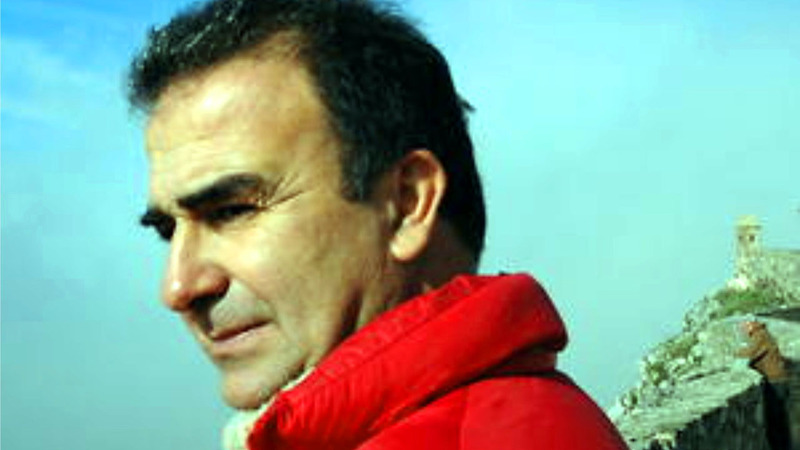 The original soundtrack was composed by Charlie Mancini and had the participation of musicians in the region. 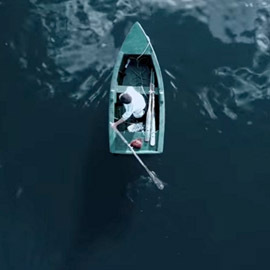 The structure of the script was based on the work of Luis Francisco Lopes, “Breve Notícia de Sines” and it is a portrait of a resilient people who continues to live the sea. The creation of the film had the support of 27 local and national authorities, who gave documents and photographs of their collections, provided scientific advice, facilitated interviews and authorized the 60 hours of filming carried on board. 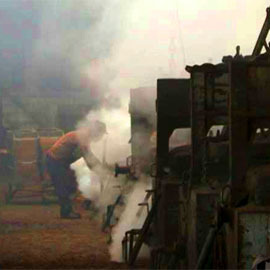 More than 2000 people were involved in running processes and post-production. 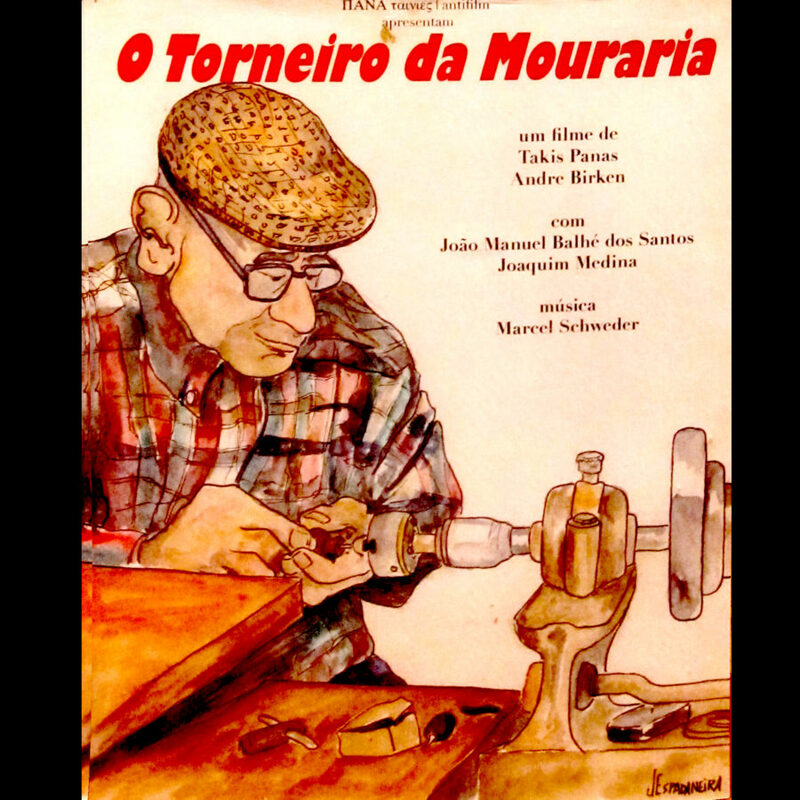 The documentary “Mar de Sines” is a production of the Municipality of Sines. 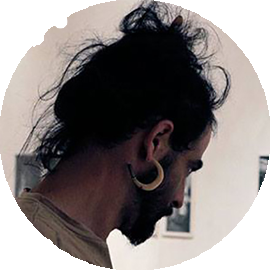 Diogo Vilhena (n. 1985) grew up between the river, the sea and the plain, learning the language of the land and customs between the hills of his grandfather and the sewing workshop of his grandmother. Interest up early the visual world and its youth experienced the area of video, radio and photography, which reinforced his conviction and vocation. In 2008, she completed a degree in Sound and Image, specializing in image by ESAD.cr, IPL campus, having already attended workshops for filmaking. While still a student, made the short documentary “Cinema Com Gente Dentro” on the street cinema and his latest projection. 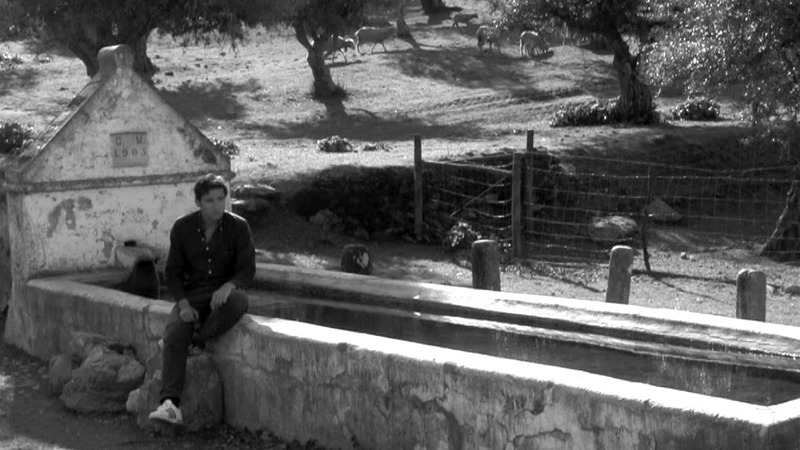 The film received multiple selections and national awards and was presented at the Portuguese Cinema Cycle Fantasporto 2010. 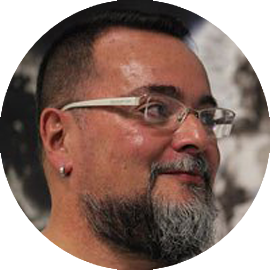 In 2009, after working in communications, advertising and corporate video in Lisbon, returned to Alentejo with the expectation of developing projects with the community in the areas of culture, history and ethnography, his interests since ever. 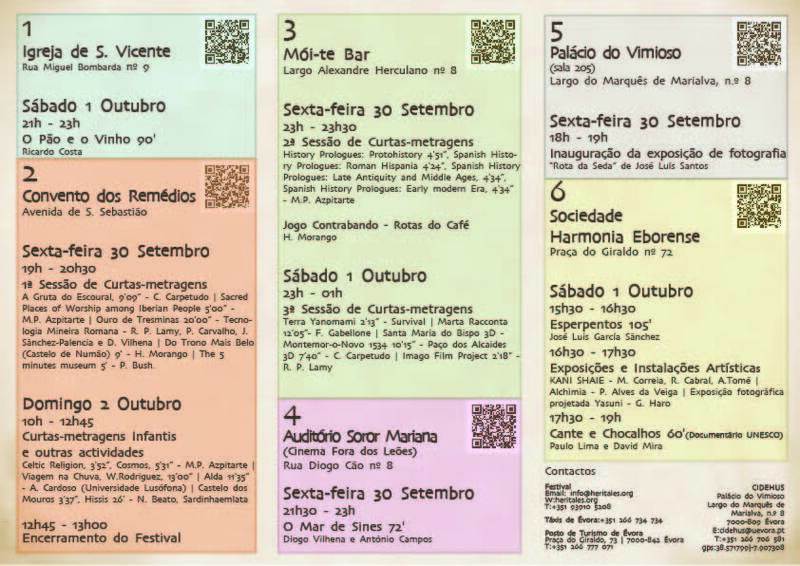 In Sines, was responsible for the section of Music and Image Alentejo Arts School and collaborates with the Municipality of Sines since 2010. Since then, made television ads since 2010 FMM Sines – World Music Festival, festival of “world music” at the international level as well as being responsible for the collection of images and videos, promoting national and international events. In partnership with the Museum of Sines, developed the project “Time Networks’ collection of oral and intangible heritage in video format by creating a series of “Voice and Hands” with a focus on traditions and crafts. “From Silence to Freedom – April 25 in Sines” was a project developed in conjunction with the Municipal Archives of Sines, built in commemoration of the 40th anniversary of the April 25, 1974. 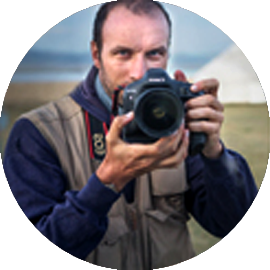 As a freelancer, has been developing a number of projects devoted mainly to heritage. 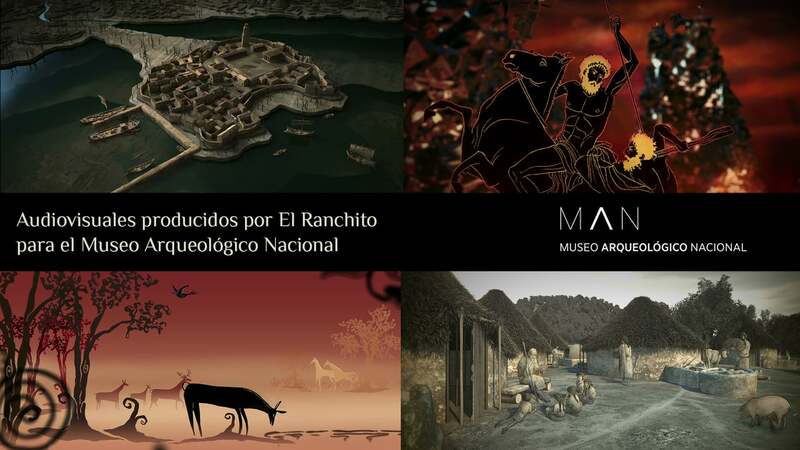 Hb made video installations and documentaries for Condeixa Interpretation Centre on the Roman world in Portugal (Portugal Romano in Sicó Land, PO.RO.S). Created the installation of digital setting for the dance show that paid tribute to Portugal in the US and was presented at the Riverside Theater in NY (SOL-I-DOH) Edgar Cortes. 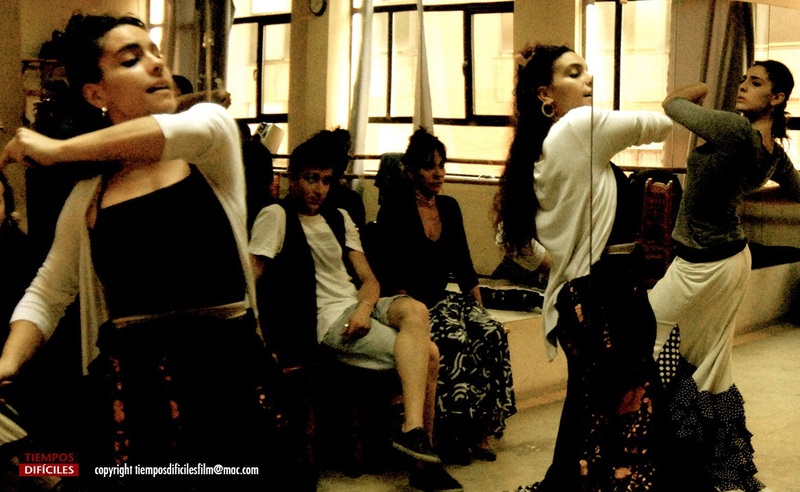 Collaborated with technical assistance in the project “The Museum Us All”, a dance show with the community facilities where the protagonists are prisoners of the prison of Odemira, an idea and artistic direction of Madalena Victorino. 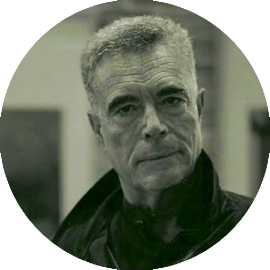 With the Museum of Leiria he made the films “Boy Lapedo” and “Leiria drawing the future.” In “The Golden Tresminas” directed by Rui Pedro Lamy for the Mining Complex Gold Roman Tresminas, was co-responsible for the technical coordination and direction of photography. He regularly collaborates since 2011 with the Theater of the Sea, a traveling theater company, international physical theater. 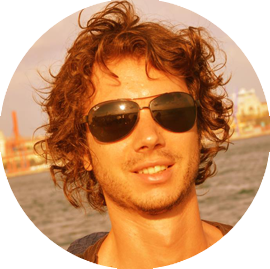 He started to work in feature films in 2015 with the completion of a documentary project film with the community, “Mar de Sines”. Today, it is identified as a polyvalent professional, attentive to the “state of art” of the audio-visual, but always willing to innovative styles, and creating alternative routes or modes of expression or equipment when the technical and financial resources available they are not up to the ideas. 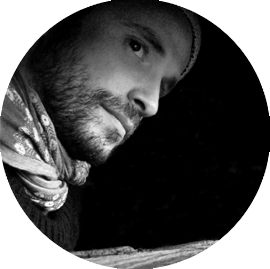 His work has features for an extreme photographic care and aesthetic sensibility able to portray authentically human relations in a documentary context, fiction or advertising. 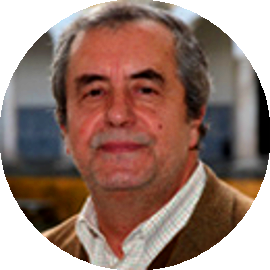 BA in History Branch of Cultural Heritage at the University of Évora, António Campos lived most of his life in Sines, his homeland. From childhood he was listening to the memories of his family where he remembered the Sines village of the recent past, but whose reality was so different from the industrial center known all his life. 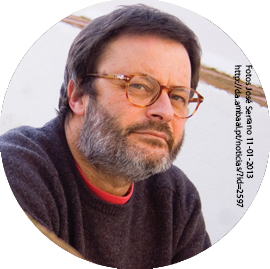 In 2008 he began his collaboration with the Museum of Sines, where he joined the team of Time Networks project, whose aim was to make collections of oral memory of Sines. Simultanemente participates in the project “Celebration of Coastal Culture” sponsored by Mutual of Fishermen and co-financed by the city of Sines and whose objective was to safeguard the tangible and intangible heritage of the Portuguese coastal communities. 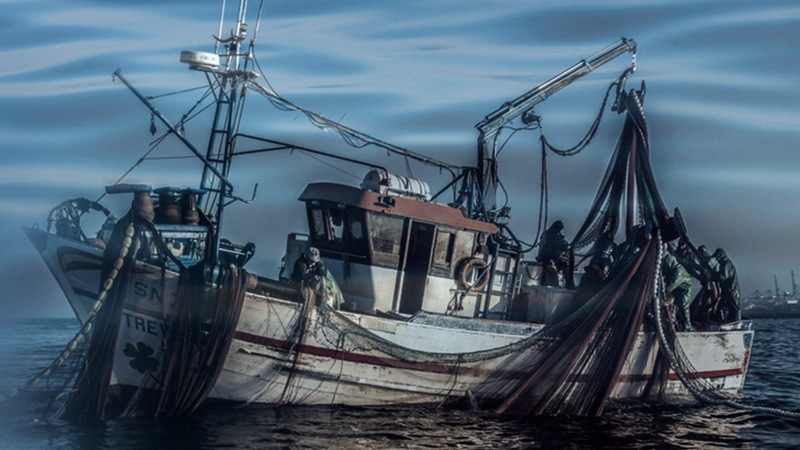 This second project allowed him to deepen their knowledge and relationship with the fishing communities of Sines. 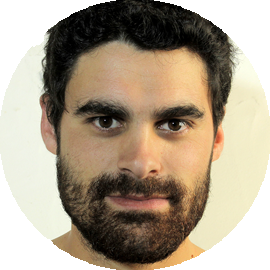 This work with fishing communities would be continued when, in late 2014, Diogo Vilhena invites you to participate in “Sines Sea” project. 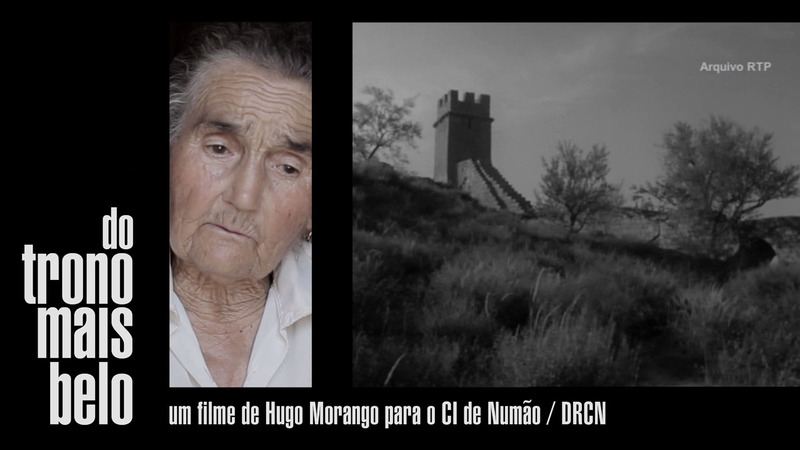 For a year Diogo accompany this adventure through the territory of Sines and the discovery of its people, collecting old photographs, stories and memories that would be returned to the community in a docu-nity format on 25 April. He dirigido seis largometrajes de ficción y tres largometrajes documentales de creación. Las películas han obtenido diversos premios en festivales nacionales e internacionales y han sido adquiridas por cadenas de televisión de ámbito estatal como TVE o regional como Canal 9, ademas de TV internacionales. Ha coproducido con Francia e Italia (La Vida Privada), Colombia (Malamuerte). Ha rodado en Roma, Montpelier, Kenya, Uganda, Guinea Ecuatorial, Argentina, Colombia, Guatemala y, por supuesto España. Como guionista fue seleccionado en la convocatoria del Instituto Sundance de nuevos guionistas Españoles. Taller impartido por SGAE/Sundance. Fue guionista finalista en el premio de guión Premio Julio Alejandro (SGAE) con el guión LA REINA NEGRA. Como director ha trabajado en sus películas dirigiendo a actores de la talla y renombre de Andrea Ferreol (Que trabajó con F. Truffaut, Ferreri,) Carmen Elias (Premio Goya) Fernando Guillen, Ruth Gabriel (Premio Goya), Rosana Pastor, etc. Como director de documentales LA PIEL VENDIDA ha sido incluida en la lista de los 100 mejores documentales. Lista elaborada por los críticos convocados en la edicion de Documenta Madrid. 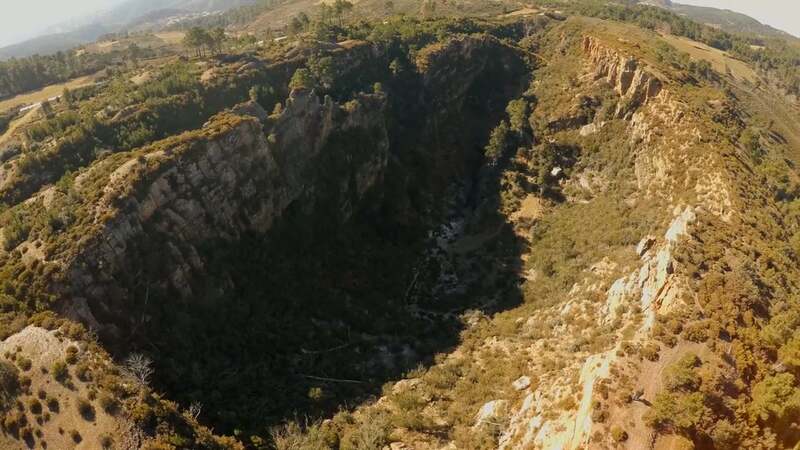 Produced by Arqueohoje, this documentary, recently awarded the 1st prize at the First Archaeological Film Festival of Castilla y León, which took place in Zamora, seeks to show the importance of the mining territory of Tresminas (Vila Pouca de Aguiar) in Roman times. Around 2000 years ago a detachment of one of the Roman legions settled in Serra Padrela to organize and control large-scale exploration of Tresminas and Jales gold. The marks of this exploitation they still show very expressively. Two huge cuts, deep galleries and extensive network of channels linked to deposits and dams. In addition to the pylons characteristic mills used in the final grinding of the ore. But there are important testimonies of men and women who lived and worked in Tresminas; here they died. 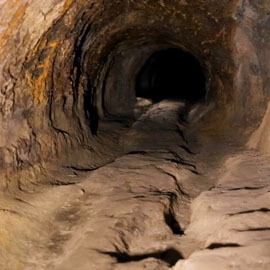 As a result of the huge investment made here for over 200 years, these gold mines were one of the most important of the entire Roman Empire, the most important of Roman Portugal. Exploring issues related to our collective imaginary, this project aims to relate the universe Christian and Pagan in search of the essence of the Sacred, its ownership and our connection with nature. 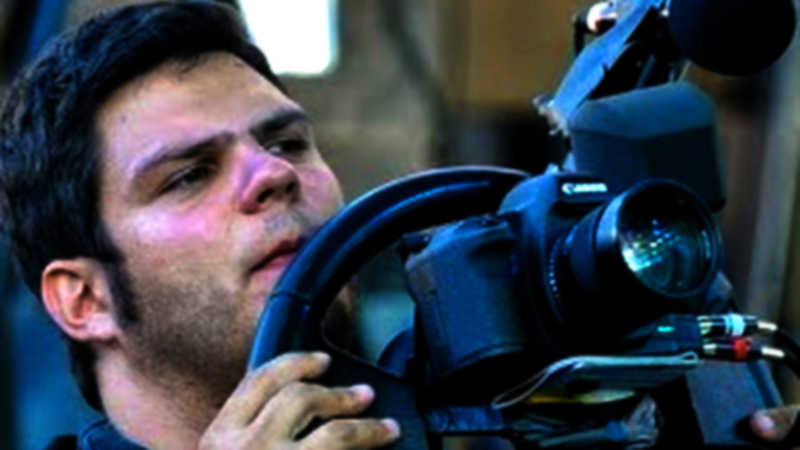 With preference for the documentary, working as a director, producer, cinematographer and editor editor, directed and produced several documentaries since 2007, theses are: “Cinema com Gente Dentro” 2007 (Director, DOP, Editor), “Silent Victories” 2011 (Director, DOP, editor), “Padre Nosso” 2011 (Researcher, Screenwriter, editor), “A Ria por Dentro” 2014 (Director, DOP, editor), “Transeunte” 2015 (DOP) “O Ouro de Tresminas” 2015 (Director, DOP, Editor). To visit all the four hundred exhibition halls of the Hermitage in St Petersburg would require the curious to walk twenty kilometres; to give even a casual glance to all the exhibits would take nine years. But the history of such artefacts may be revealed another way; through the wonders of film technology they can be displayed at twenty four images a second, thereby allowing the triumphs of human endeavour to be seen even in far corners of the land, by the bedridden, the infirm and the lazy. You need not stir from your sofa to absorb the history of man-made objects from the Stone Age to the present day in ‘The Five Minute Museum’. 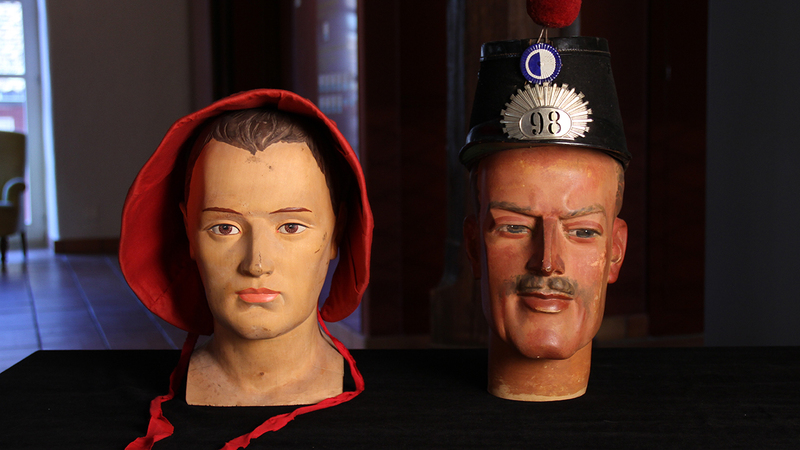 This is a romp through the museums of England and Switzerland in which the objects on display come to life and reveal the stories of their creation. It is a celebration of the chaotic diversity conjured by the human hand and mind, and the eccentricity of museum collections. 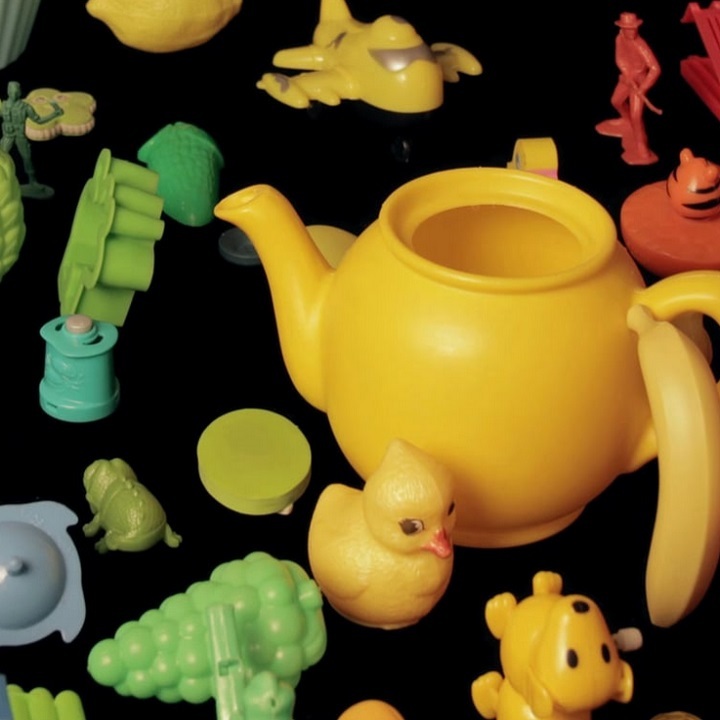 It’s the history of man-made objects from prehistory to the present day. 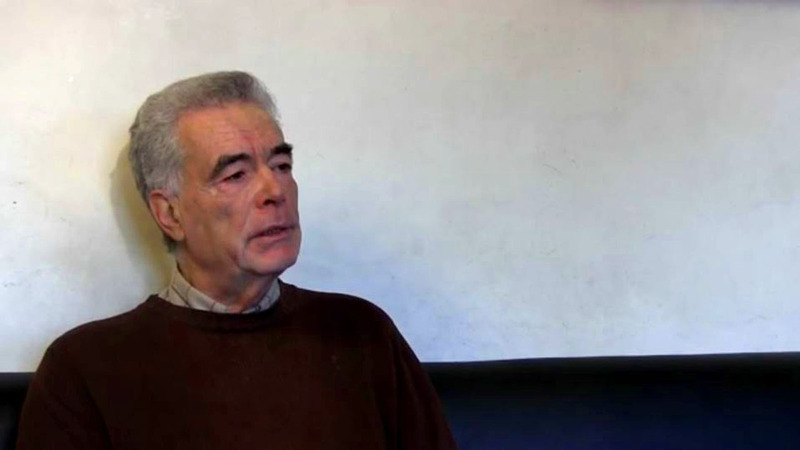 Paul Bush is a filmmaker most well-known for experimental stop frame animation. 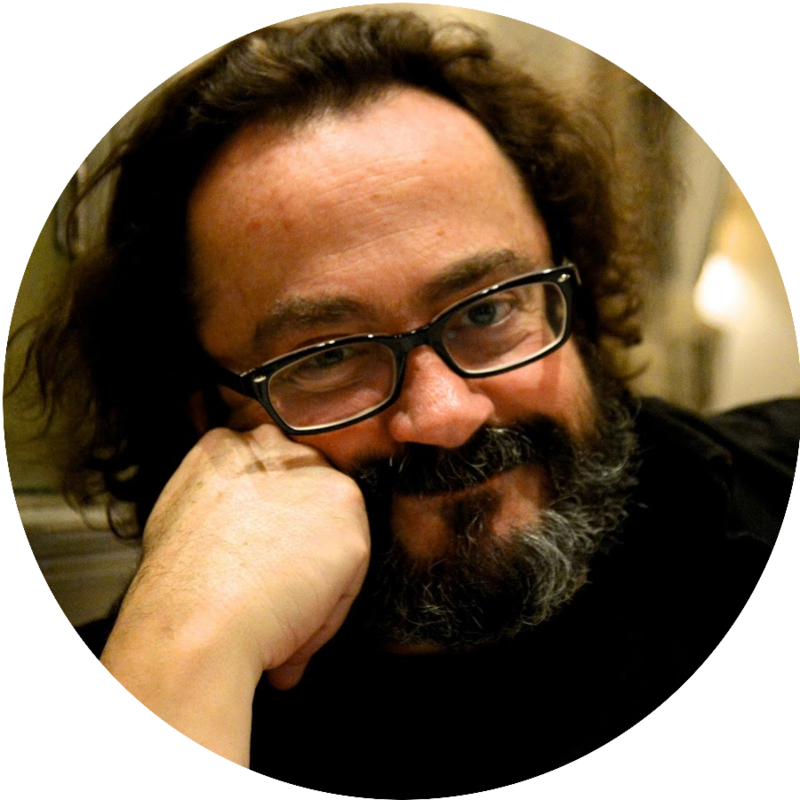 He has made numerous short and medium length films including The Cows Drama (1984), His Comedy (1994), Rumour of True Things (1996), Furniture Poetry (1999), Dr Jekyll and Mr Hyde (2001) and While Darwin Sleeps (2004). He has won many awards and his films have been shown in festivals, cinemas, galleries and on television all round the world. 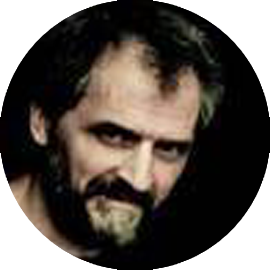 There have been retrospective programmes of his films recently in Ghent, Turin, Bogota, Budapest, Montreal, Bristol and London. In 2013 his feature film Babeldom was released in UK cinemas to critical acclaim. 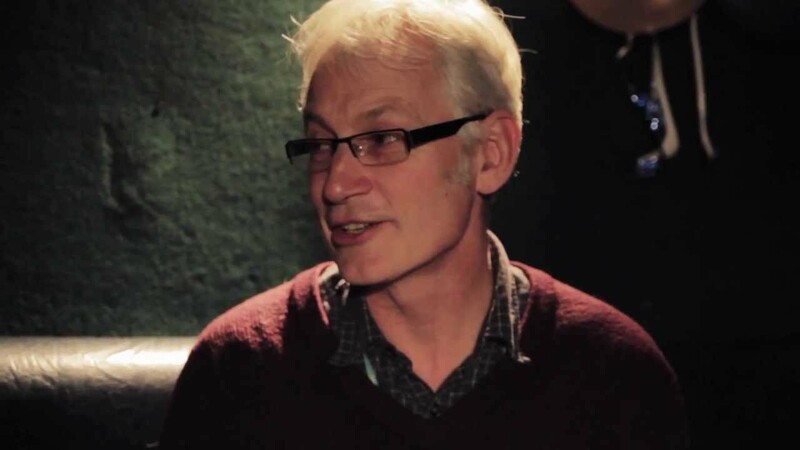 He began teaching in 1981 and established a film workshop in South London. 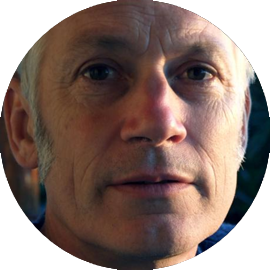 He taught on the visual arts course at Goldsmiths between 1995 and 2001 and at the National Film and Television School since 2003. 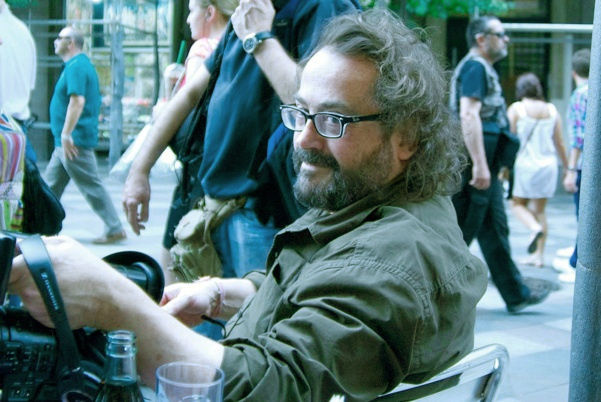 Bush has lectured, run workshops and tutored at numerous art and film courses around the world including Luzern University, Centro Sperimentali di Cinematografia in Italy, Royal College of Art and Harvard. Digital techniques are very versatile and, going beyond hyper-realism, allow the creation of all types of very expressive solutions. 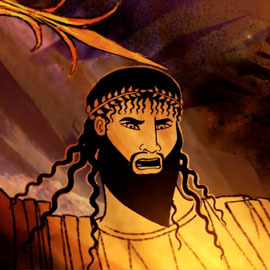 The 19 audiovisual pieces made for the National Archeological Museum deal with various themes using different approaches but share the use of mixed animation techniques in which drawing, illustration and animation are integrated with 3D and digital composition in search of appropriate and innovative languages. More than 90 minutes of somewhat unconventional productions with a clearly didactic intention and a modern touch, designed to better fit within the museum renovation and to make them more attractive to the public. COSMOS…IN THE BEGINNING. Based on “Theogony” and “works and day” by hesiod. 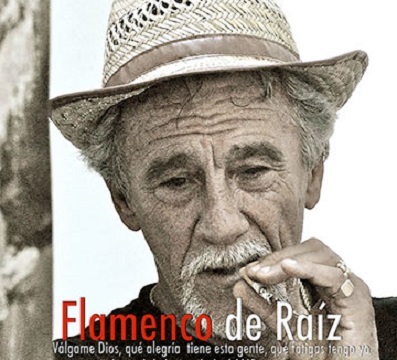 Duration: 5:31, Production year: 2012, Language: Spanish, Subtitles: Spanish/English, Direction: Magoga Piñas Azpitarte, Iñigo Rotaetxe, Art direction: Santiago Verdugo, Isaac de la Pompa. 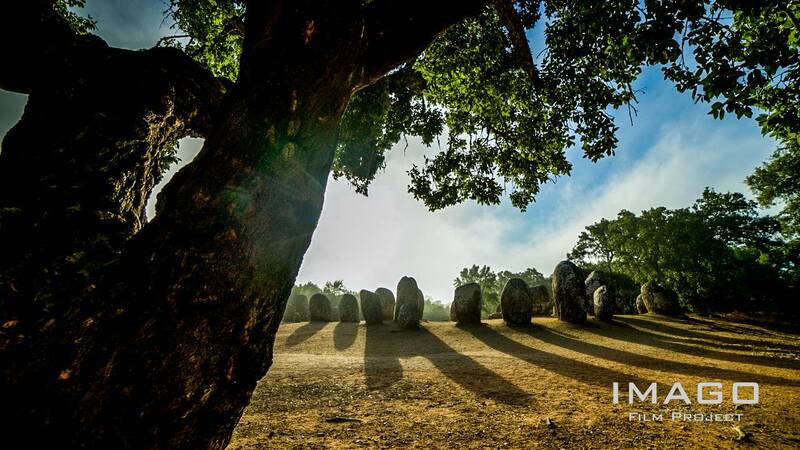 SACRED PLACES AND WORSHIP AMONG THE IBERIAN PEOPLES. Duration: 5:00, Production year: 2013, Language: No audio, Subtitles: Spanish/English, Direction: Magoga Piñas Azpitarte. DEIETIES ARRIVING FROM THE EAST. Duration: 5:24, Production year: 2013, Language: No audio, Subtitles: Spanish/English, Direction: Magoga Piñas Azpitarte. CELTIC RELIGION. Duration: 3:52, Production year: 2013, Language: No voice, only music and sound, Subtitles: Spanish/English, Direction: Magoga Piñas Azpitarte, Art direction: Santiago Verdugo. SPANISH HISTORY PROLOGUES: PRE-HISTORY. Duration: 4:32, Production year: 2014, Language: No voice, only music and sound, Subtitles: Spanish/English, Direction: Magoga Piñas Azpitarte, Art direction: Santiago Verdugo, Isaac de la Pompa. SPANISH HISTORY PROLOGUES: PROTO-HISTORY. Duration: 4:51, Production year: 2014, Language: No voice, only music and sound, Subtitles: Spanish/English, Direction: Magoga Piñas Azpitarte, Art direction: Santiago Verdugo, Isaac de la Pompa. SPANISH HISTORY PROLOGUES: ROMAN HISPANIA. Duration: 4:24, Production year: 2014, Language: No voice, only music and sound, Subtitles: Spanish/English, Direction: Magoga Piñas Azpitarte, Iñigo Rotaetxe, Art direction: Santiago Verdugo, Isaac de la Pompa. SPANISH HISTORY PROLOGUES: LATE ANTIQUITY AND MIDDLE AGES. Duration: 4:34, Production year: 2014, Language: No voice, only music and sound, Subtitles: Spanish/English, Direction: Magoga Piñas Azpitarte, Art direction: Santiago Verdugo, Isaac de la Pompa. SPANISH HISTORY PROLOGUES: EARLY MODERN ERA. Duration: 4:34, Production year: 2014, Language: No voice, only music and sound, Subtitles: Spanish/English, Direction: Magoga Piñas Azpitarte, Art direction: Santiago Verdugo, Isaac de la Pompa. Produced by: EL RANCHITO. 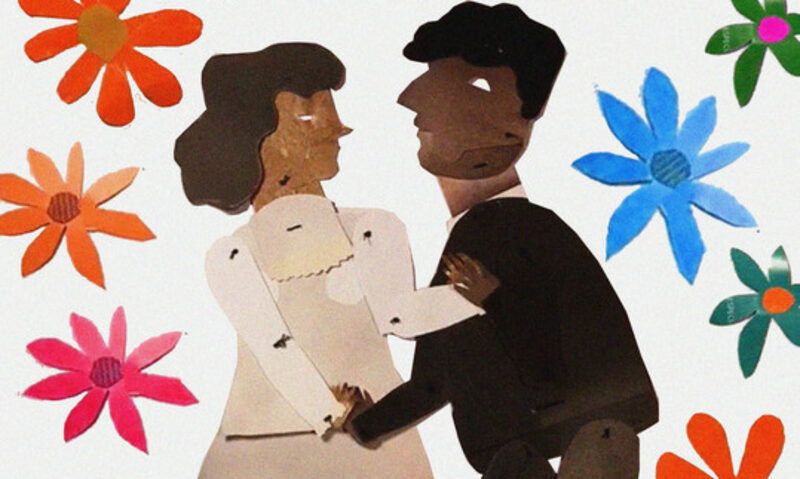 Illustration and animation: SOPA DE SOBRE. Direction: Magoga Piñas Azpitarte, Iñigo Rotaetxe, Miguel Martínez Soto. Art direction: Santiago Verdugo, Isaac de la Pompa, César Leal. Production: Rubén Sanz, Helen Martí, Nuria Ruano. Ilustration and animation: César Leal, Miguel Martínez Soto, Santiago Verdugo, David Escribano. 3D: Isaac de la Pompa, Jose Luis Barreiros, Alicia Colmenero, Guillermo Martínez Benavente, Julio Fernández. Motion graphics and postproduction: Aníbal del Busto, Rubén Rivas, Belén Arsuaga, Asís Uriarte, Johnny Sardi, Lucía Valdivieso, Ion Zabala. 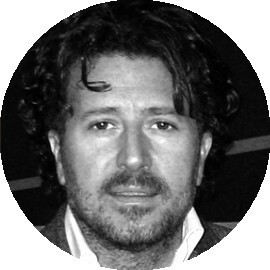 Magoga is director and digital technology specializing in historical, landscape and architectural recreations. 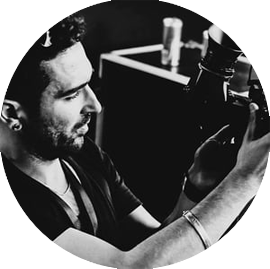 Has more than 15 years working for museums and exhibitions in the design, coordination and post-production of short documentaries and audiovisual installations. 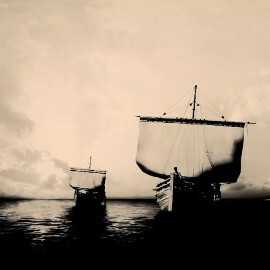 His works combine very different styles of animation, 3D reconstructions, photogrammetry and other digital techniques looking for innovative ways to transmit the contents in a clear and entertaining way. In this regard include its collaboration with the museological company Empty in projects such as the audiovisuals to reform the National Archaeological Museum on the stereoscopic film “Leonardo Da Vinci, the look of genius” (first prize in the short film category of the Festival International Audiovisual Productions for Museums (FIAMP 2012) for the display of Leonardo da Vinci, the Genius in the Canal de Isabel II. Other Museums and Exhibitions in which collaborated: Exhibition Alexander the Great, meeting with East. Museum of Human Evolution. Exhibition “Isidro Velazquez, architect of Madrid Fernandino”. Madinat al-Zahra Museum. Expo Zaragoza 2008 Spain Pavilion. Interpretation Centre Caserío Vasco, Igartubeiti. Museum of Science, Valladolid. Environmental information office of the Community of Madrid. Interpretation Center of San Lorenzo de El Escorial. Caballero de Olmedo Palace Museum. Exhibition “Inhabiting the World” Forum of Cultures. Caesar Augusta Roman Theatre Museum. The other facet of his career develops in the field of visual effects for film and television, especially in sequences historical, digital recreation of landscapes and scenery. 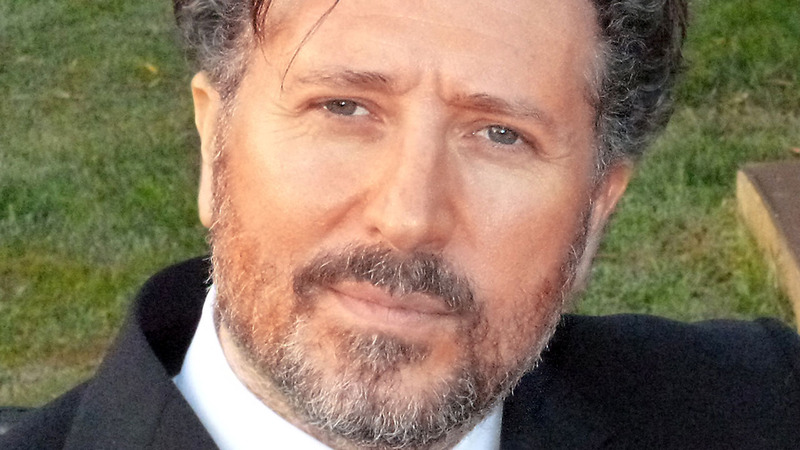 He is a regular contributor to the study of visual effects El Ranchito, with whom he has worked in films, commercials and TV shows, performing various functions. 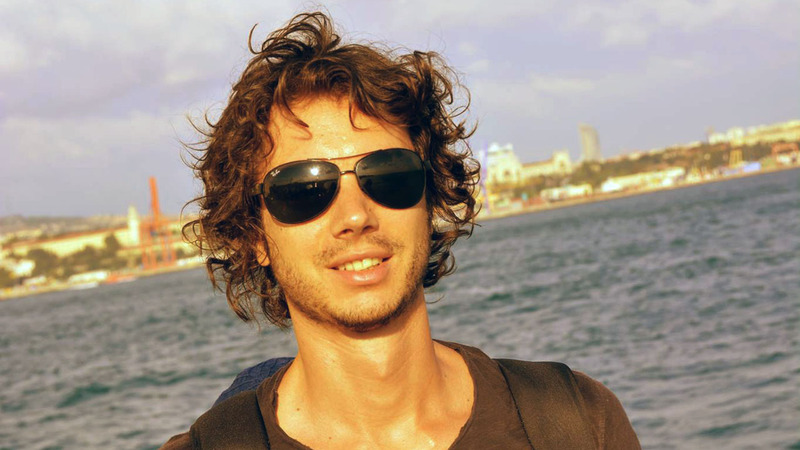 As coordinator 3D it can be highlight his work in the international series produced by National Geographic “Cosmos, to Spacetime Odyssey” or the recreation of Alexandria in the fourth century for the film “Agora” by Alejandro Amenabar (Goya Award for Best Special Effects 2010). 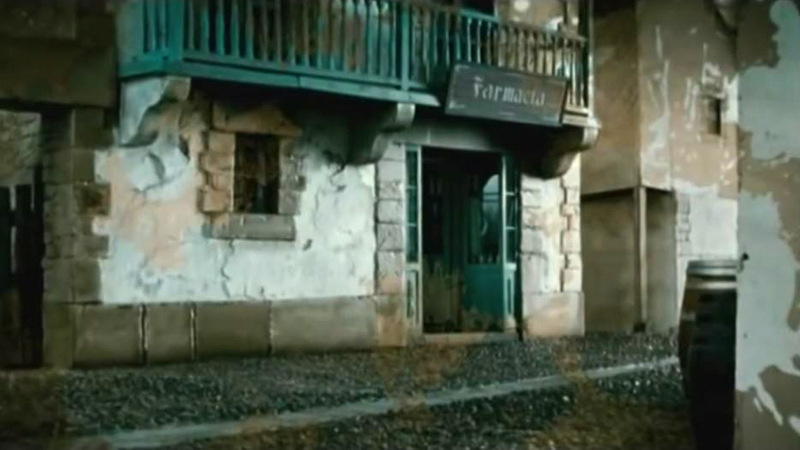 As digital technology and mattepainter their collaboration on “The Impossible” by Antonio Bayona (Goya award for best special effects and VES Award, Outstanding Supporting Visual Effects 2012). Other films in which he has participated: “Libertador” by Edgar Ramirez. “Mortadelo and Filemon. Mission: Save the Earth “by Miguel Bardem. “Goya’s Ghosts” by Milos Forman. 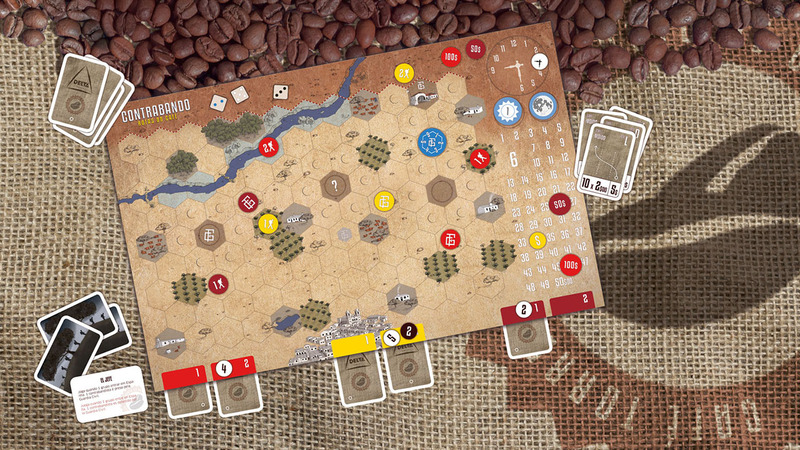 “The Kovak Box”, “Theft largest Never Counted” and “The Heart of the Warrior” by Daniel Monzón. “The Others” Alejandro Amenabar’s. “Torrente II, Mission in Marbella” of Santiago Segura. “The Community”, “Muertos de Risa” and “Crime Ferpecto” by Alex de la Iglesia. “The great adventure of Mortadelo and Philemon” by Javier Fesser. 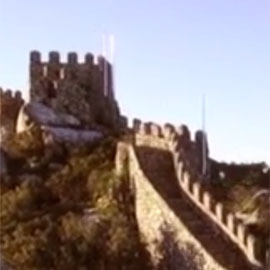 Video with the historical evolution of the Moorish Castle, on display in the new Interpretation Centre and Musealization of Archaeological Research Field Moorish Castle, Sintra. 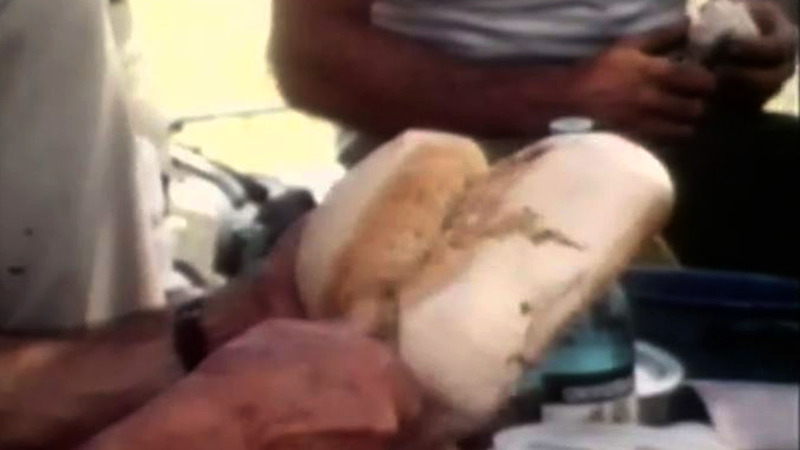 Production: Sardinha em Lata. Client: Parques de Sintra – Monte da Lua. 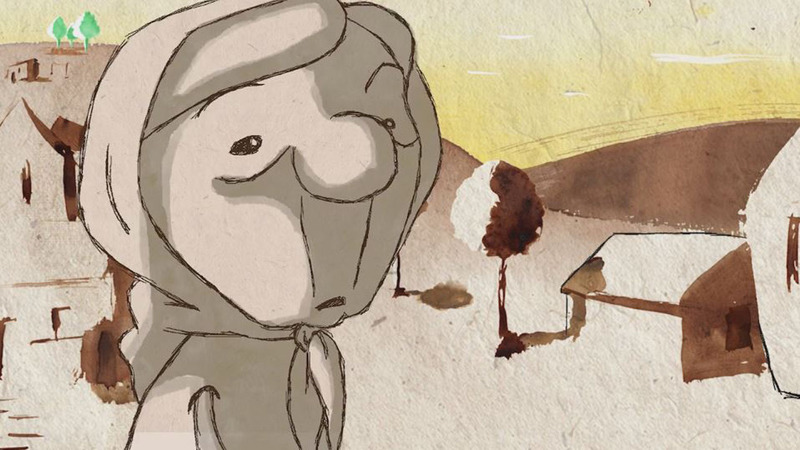 Realization and Animation: Nuno Beato. Camera: Wilson Pereira. Coordination: Maria João de Sousa. Voice: Joana Brandão.Sound: Daniel ridge.Translation: Kevin Rose.Year: 2015. In the evening, Carlos is lost friends … Lea, Pedro and Rafa leave in search of him, looking across the mountains and town of Sintra, but in vain. 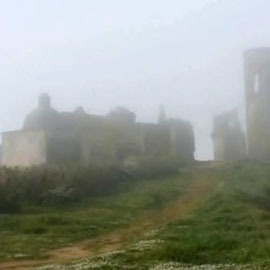 It was night and there was only one place where missing… seek the Moorish Castle. Despite the fear they run to the castle. In the village, parents were already worried. 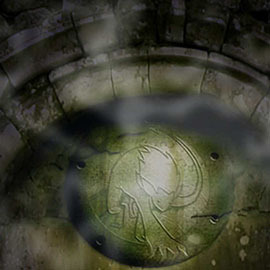 It was not the first time that a child disappeared, and there was the rumor of the presence of a monster… Híssis. 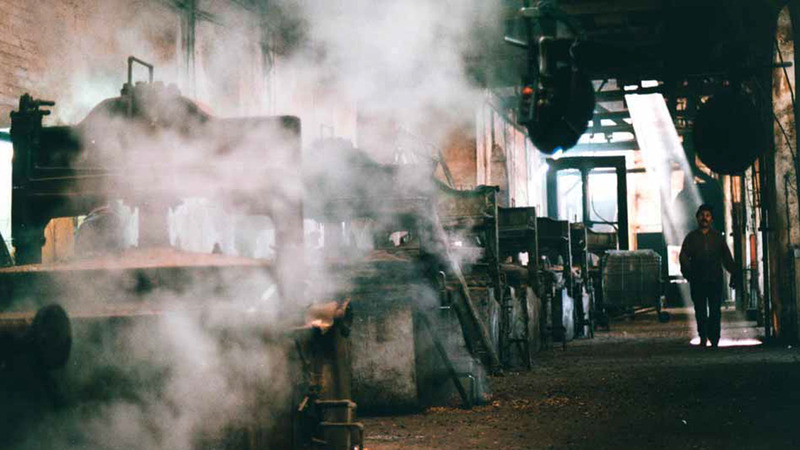 The documentary “The idea never weaves” was shot in Portalegre between 2006 and 2011 and depicts the end of an Industrial Age. Through the director’s gaze we follow the former workers of the Robinson factory since the eve of the closing of this important cork factory until today. The film focuses on skilled men and women holders of practices and knowledge, with emotion, share experiences, memories, there past sufferings and joys and still intensely lived and gifts. Many of these workers have dedicated their entire lives to the factory, which suddenly had to leave, facing unemployment and uncertainty of tomorrow. Promoted by the Foundation Robinson, “The idea never weaves” was realized and edited by Jorge Murteira. 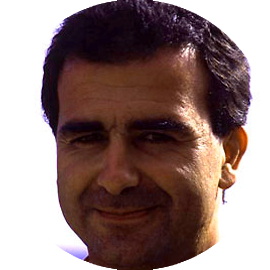 Jorge Murteira started his professional career in 1987 as director’s assistant of the documentary “Cabo Verde”. 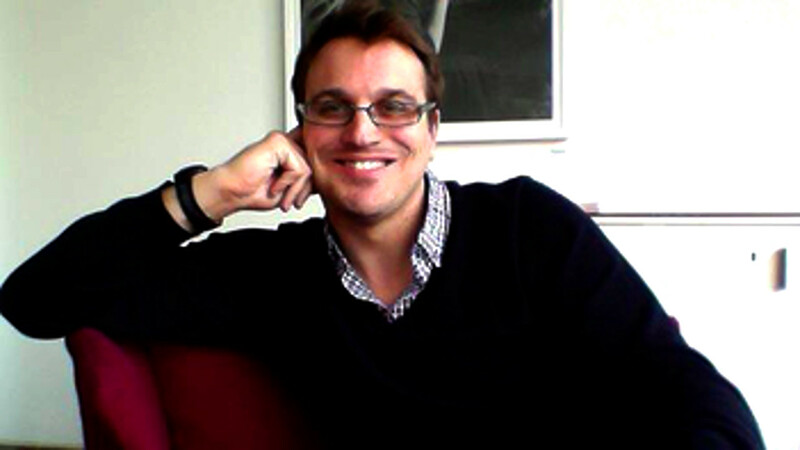 In 2001 he founded Maggoo Audiovisuais and finished is first film, “Rebels at the End of Time”, a co-production with RTP, the Portuguese public television. 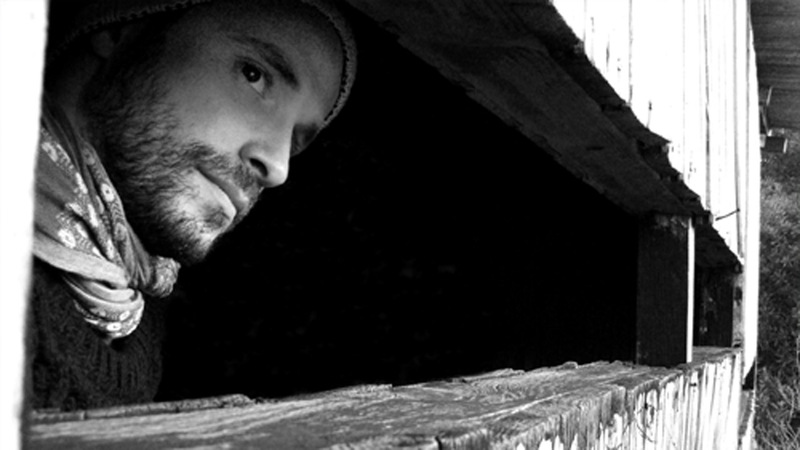 In 2007 his documentary “The Boatman’s House” won two awards at Doc Lisboa. 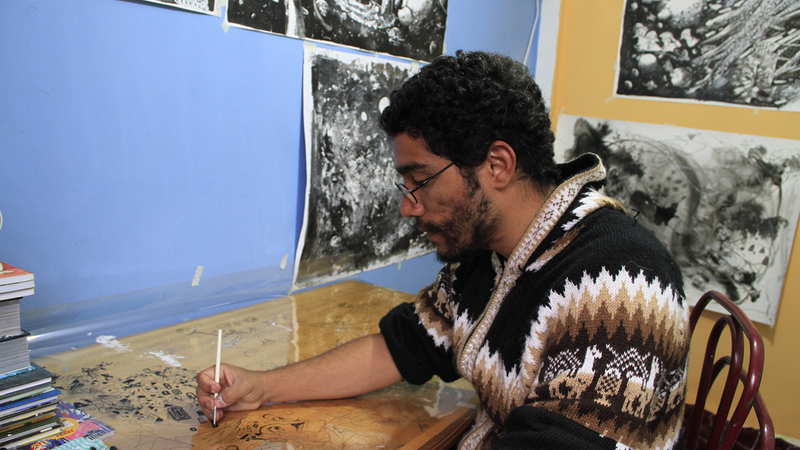 His last works are “The idea never wavers” and “Ancestral Techniques, Current Solutions“. 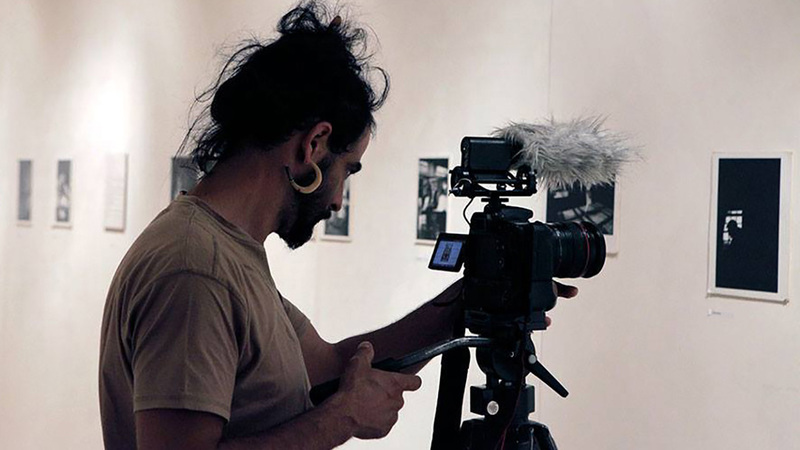 As a free-lancer he recently filmed and direct several videos for an exhibition entitled “Finger Print” at Paredes de Coura Museum. For these he createed and executed projects in a methodological approach that apply methods of anthropology (Lic. Anthropology) to understand the local wisdom and spaces that inspires him, then, create carefully interpretive and creative strategies for the promotion and development of cultural and natural heritage (Master Music Design, HKU Netherlands). Despite the large number of monumental tombs discovered over the years in Taranto, only a few among them are open to the public for in situ visits. Actually, in most cases the visit is precluded because the sites are placed below private buildings or urban roads. However, as often happens, they are affected, for various reasons, by another inevitable trouble: the artefacts preserved inside them until the discover, have been subsequently brought into some museums whereas the monumental structures have been restored, in most cases with provisional works, in order to prevent their collapse. The consequence of this moving, is the de-contextualization of the grave goods and the lack of valorisation of monumental archaeological contexts. An effective solution for these issues could be achieved from the use of technologies that allow a virtual enjoyment of these monuments and the virtual set-up of the grave goods in their original contexts. 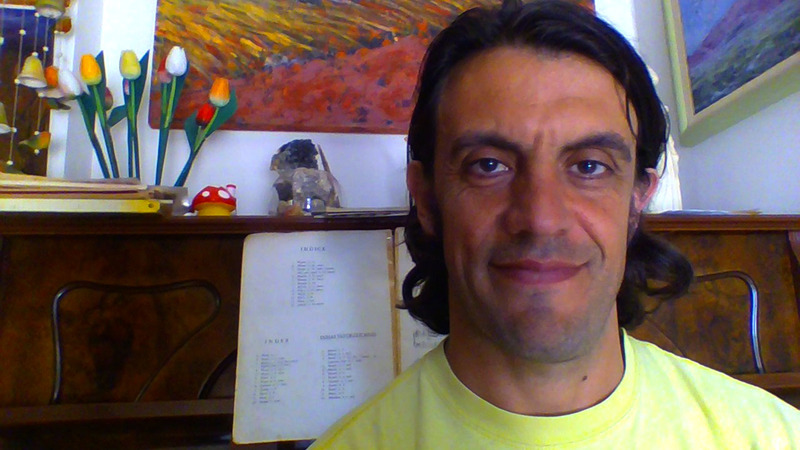 Based on these premises, thanks to the project CNR-IBAM “Marta Racconta. Storie Virtuali di Tesori Nascosti”, co-financed by the Fondazione Cassa di Risparmio di Puglia, the National Archaeological Museum of Taranto (MARTA) will be soon equipped with the installation of a Virtual Platform. This will make ‘accessible’ ancient monuments from the Greek Taras (the ancient Taranto) currently closed to visitors. In particular, three very interesting monuments have been identified in close cooperation with the Superintendent and with the direction of the Museum of Taranto. The first one, the famous Tomb of the Athlete of Taranto represented the sport values of ancient Greek culture at the olympic games held in Beijing. The second one is the so-called Tomb of the Festoons, that was found in Via Crispi at the beginning of the last century. At present, it is placed inside a private apartment under the ground floor of a building. 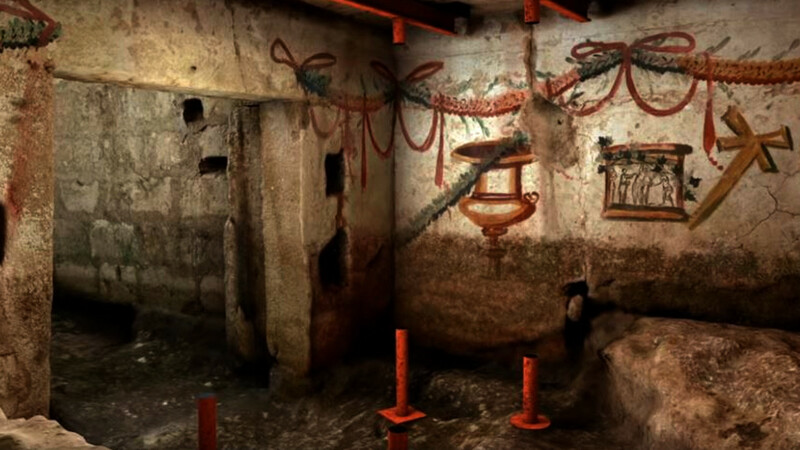 The third one, called the Hypogeum of the Gorgons, was discovered some years ago in Via Otranto, but it is now placed below a road pavement. The archaeological and archaeometric studies carried out on these monuments made it possible to develop a wide path of knowledge ranging from funerary rituals to construction techniques. From a technological point of view, we have developed a Real Time 3D platform for a stereoscopic immersive visit, in which a navigation system with ‘natural interface’ was implemented, where the commands are executed with simple hand gestures. Through this technology, the visitor of the museum will have the opportunity to follow a path of integrated knowledge starting from heterogeneous contents, which will allow the access to historical and archaeological data, the archaeometric analyses, and the spatial navigation within a hyper-realistic environment where it is possible to interact with the three-dimensional structures, to query the Database and to explore, interactively, the funerary finds. 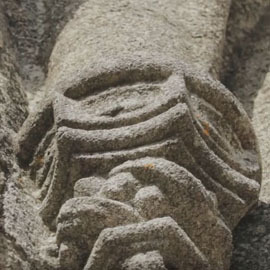 With regard to the Tomb of the Festoons, we made use of a texture mapping technique, projected on the meshes acquired from laser scanning, which allowed to develop an extremely realistic survey and to achieve a precise geometrical reconstruction. 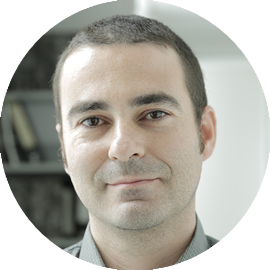 Architect, researcher at IBAM-CNR (office of Lecce, Italy) and professor in Digital Restoration at the Academy of Fine Arts in Lecce. 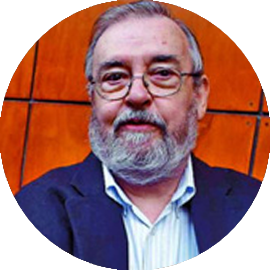 He is founder and scientific responsible of the ITlab (Information Technologies Lab) laboratory of IBAM-CNR, in the framework of which he does research activity finalized to the knowledge, valorization and enjoyment of the cultural heritage by means of 3D technologies. 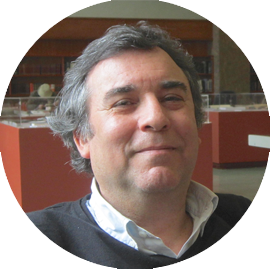 He is the author of several projects for museum communication and virtual archaeology (Iraq Virtual Museum, Museo Egizio of Turin, National Archaeological Museum of Taranto, Museum of Metaponto and Herakleia, Syracuse, Terracina, Selinunte, etc.). 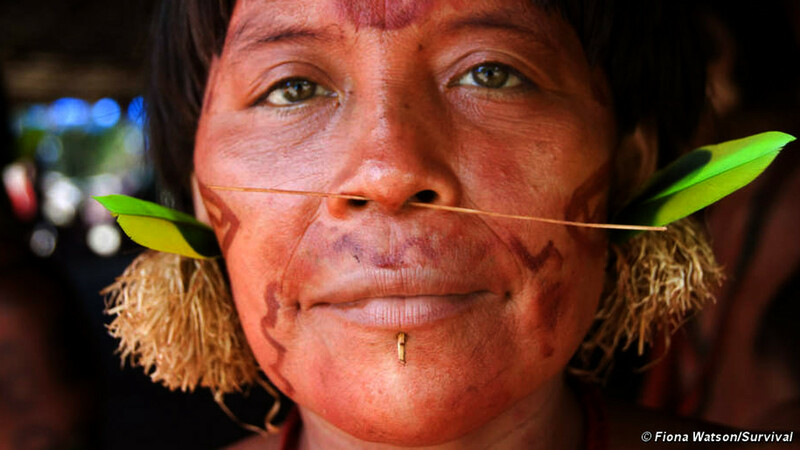 Yanomami Association, warns of the dangers. 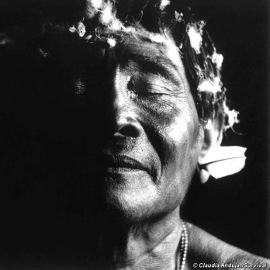 ‘The Yanomami people do not want the national congress to approve the law or the president to sign it. We do not want to accept this law. We depend on you. We need your money, energy and enthusiasm to help us fight one of the most urgent and horrific humanitarian crises of our time. The rain just as the circus, goes a long way to your destination. When it goes, the memories stay. 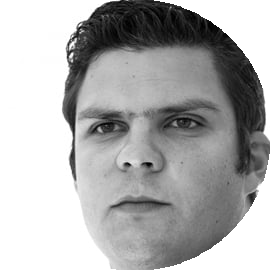 Wesley Rodrigues was born in Goiânia in the state of Goiás. He graduated in Graphic Design at the UFG. He illustrated several books and published comics YUKA: the fisherman of illusions and Gonzaga: the singer boy. 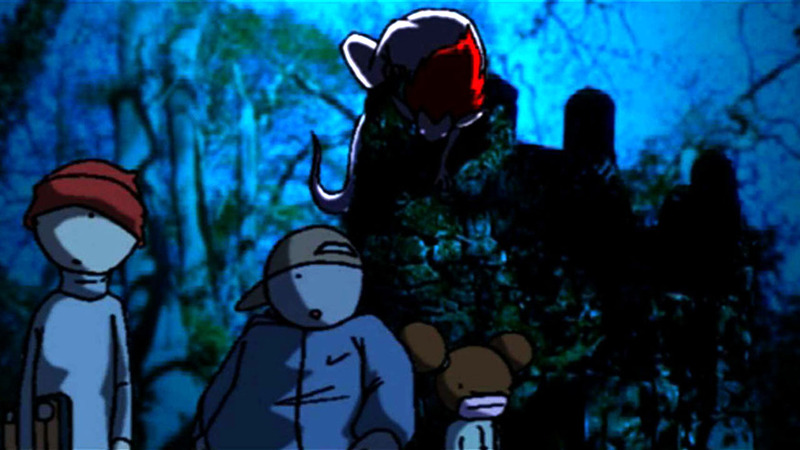 He was animation director in the short film “The Ogre”. 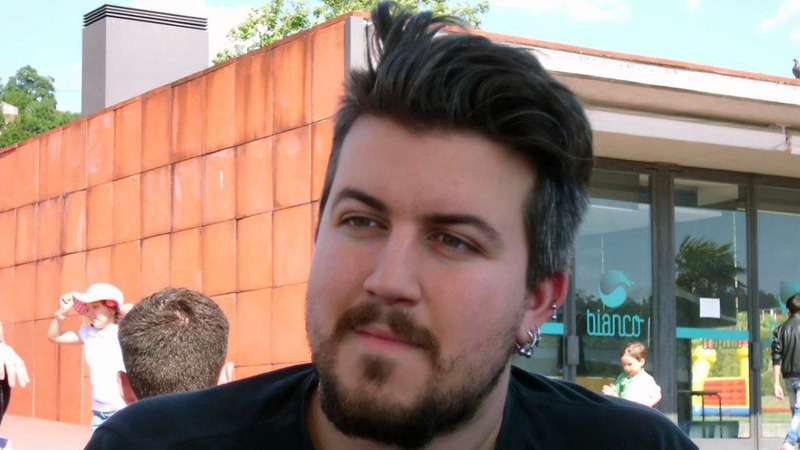 Worked in the main feature film animation team “Until Sbórnia separates us.” In 2013 he directed the animated “Wild West-An Authentic Western,” being this the winner of several major awards as the best Brazilian animation Animamundi (popular jury) Festival of Brasilia (best animation and best short by the public) and Best Animation in Animage. Currently develops project of HQs and animations in ARMORIA Studio. The film portrays the evolution of a rural area, and the consequences brought in the life of someone who has always lived there. 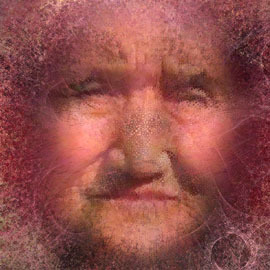 Alda is an elderly and solitary woman, who had a complicated life story. Given this change, imposed on her, with no possible escape, she sees herself and the world she knows shattered, having no other option but to return to the place she always knew, her home. 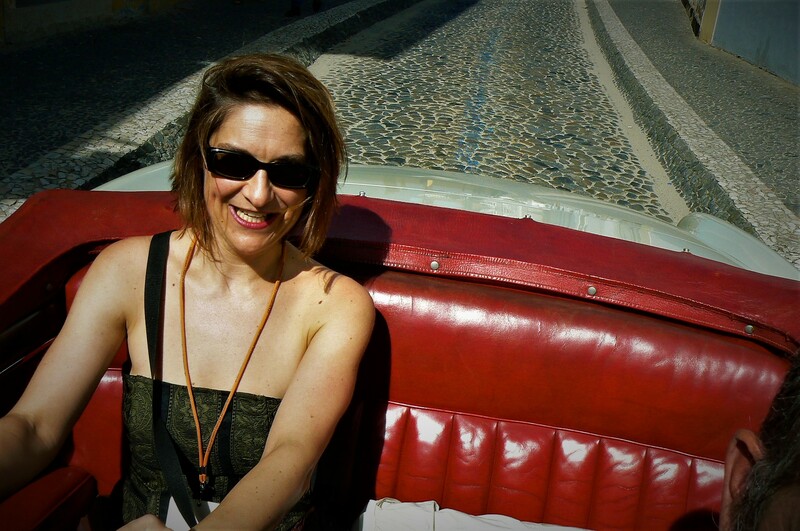 She was born in Lisbon in 1976, she is married and mother of two young boys. Despite of having training in Hotel and Restaurant Industry from the Professional School of Salvaterra de Magos (Lisbon pole) dedicated herself to Industrial Design. She has more than 10 years of experience in kitchen and furniture design. She is pursuing the degree of Digital Animation at Lusófona University and is co-author of the animated film Alda that won the Over & Out festival in 2013. 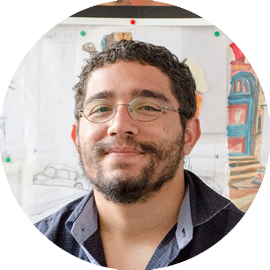 After finishing high school in Visual Arts, Filipe Fonseca followed the path of Design only to discover that his place was in Animation. 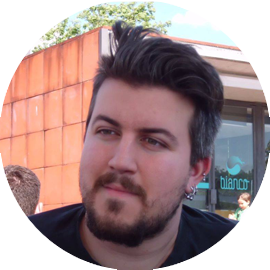 Recently completed a degree in Digital Animation in Universidade Lusófona (Lisbon), and from here pretends to deepen his knowledge in this area, mostly on Traditional Animation, which interests him most. She was Born in Mozambique and grew up in Algarve, showing early interest in arts. Attended AR.CO (Center for Art and Visual Communication), graduated in Graphic Design at ETIC (Technical School of Image and Communication), area where she has worked since 2004, and graduated in Digital Animation in Lusofona University of Humanities and Technologies. 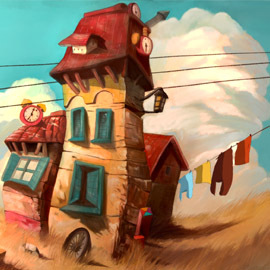 Beyond Design and Animation has interest in illustration, collage, especially in mixing techniques, textures and organic shapes. Located inside the walled area of Montemor-o-Novo Castle, the Church of Santa Maria do Bispo was the main old village church in the sixteenth century. 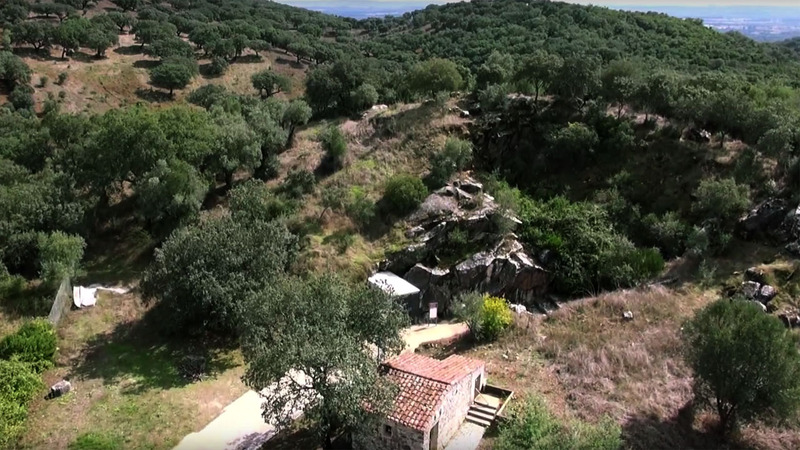 The documentary “Santa Maria 3D Bishop — Montemor-o-Novo 1534” tells the story of this church, today a monument in ruins, rebuilt through new technologies and scientific knowledge acquired thanks to historical sources, the pictorial records and architectural comparisons. Discovered in April 1963, after an explosion of a quarry, the Escoural Cave proved an essential site in the history of archaeology in Portugal. 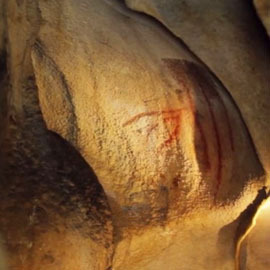 What the Escoural Cave is today, transcends its tourist value, and it is assumed as an international reference for the art of the Paleolithic as the westernmost point of Europe with such artistic representations of Pre-history. 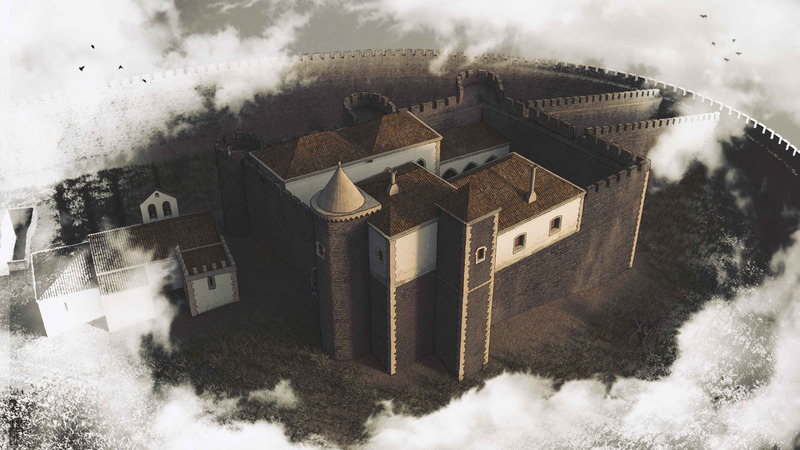 Now a ruin, with the 3D virtual reconstruction it was possible to recover the monumentality of that which once was this important building in the history of Portugal. 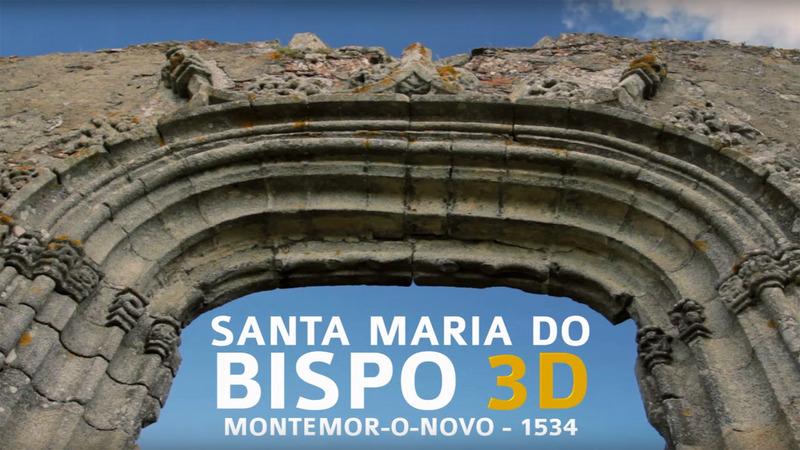 The Montemor-o-Novo 1534 initiative, framed within the project Morbase — dissemination platform of the historical and cultural heritage of the municipality of Montemor-o-Novo — began in 2015 with the presentation of the documentary ‘Santa Maria 3D Bishop’. 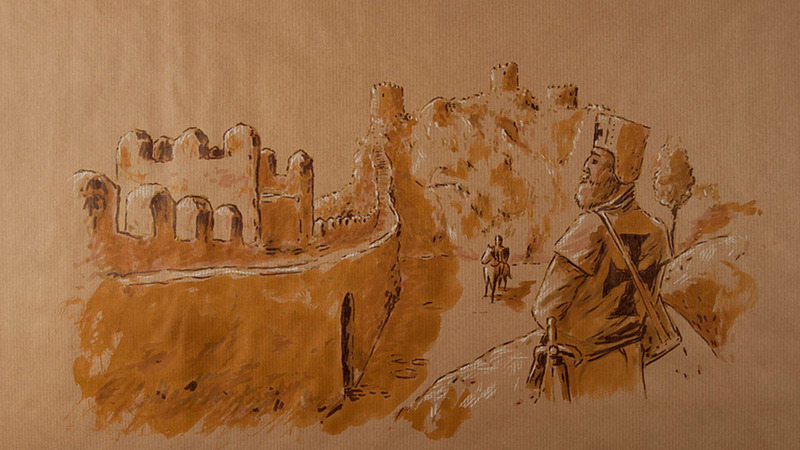 Its genesis is the intention of using new technologies and scientific research, value the unique monument which is the Montemor-o-Novo Castle, enabling a better understanding of the in-house community space and the visitors who visit daily. 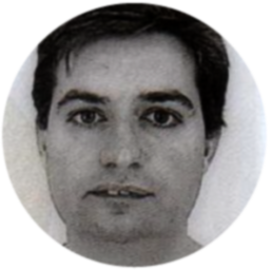 Carlos obtained a BA in History with Archaeology specialization at the University of Évora in 2008, also he has trained in Heritage virtualization at the Universidad de Burgos. 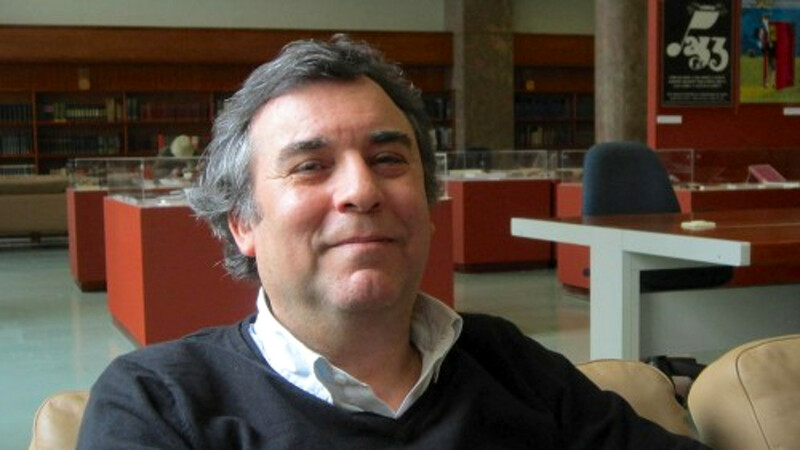 Partner manager Cromeleque, Lda — historical and cultural heritage valuation company — becomes coordinator of Morbase in 2014, a Public Archaeology Project for the valorization of the Historic Heritage of the council of Montemor-o-Novo under the initiative of the Municipality of Montemor-o-Novo, being in the genesis of the Virtual Archaeology Symposium through this project. 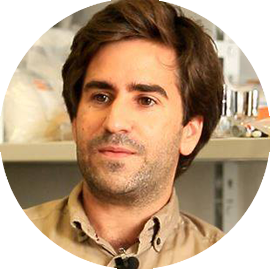 Gonçalo obtained a BA in History under the branch of Cultural Heritage at the University of Évora. It works mainly in professional archaeology with participation in campaigns of various periods. The main areas of research are Archaeology Medieval and Modern Archaeology of Architecture,within which has several published articles. 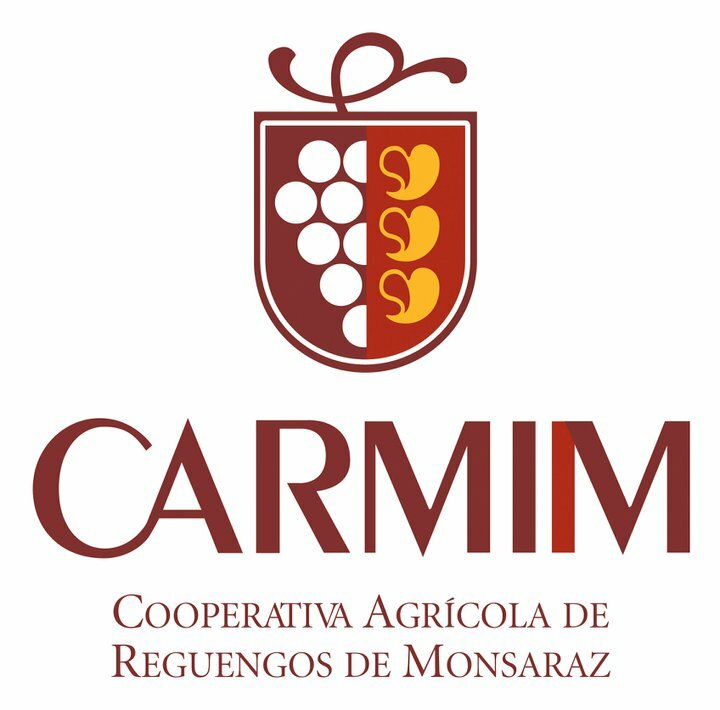 Recently, it has collaborated on several virtual reconstruction projects managed by the company Cromeleque Lda., Under Morbase project (Municipality of Montemor-o-Novo). 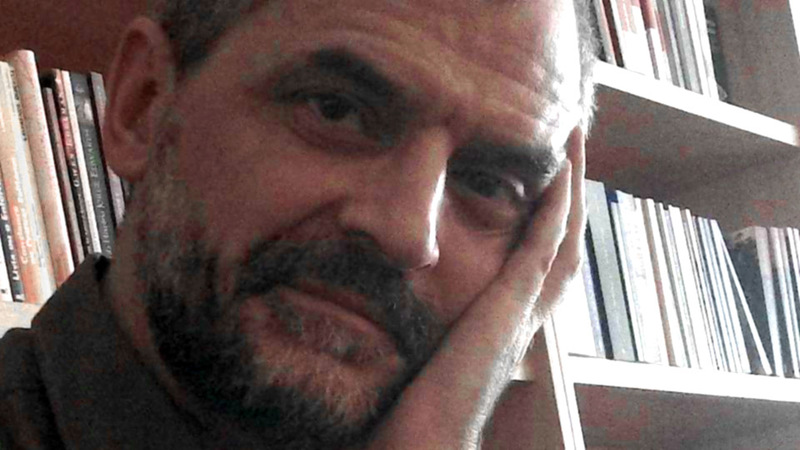 BA in Anthropology from the Faculty of Social and Human Sciences, New University of Lisbon, has pointed his work to anthropology, in which the image is understood as a research and investigation tool. Material Culture, Cultural Heritage and Visual Cultures are his main areas of interest. Along its route, as a researcher, integrates in 2010 the Institute of Traditional Literature Studies (FCSH-UNL), and in 2011 becomes investigator-collaborator of the Light Museum. In the area of museology he designed in 2013 the program for the museum of Ethnology Centre of Montemor-o-Novo, opened in 2015. 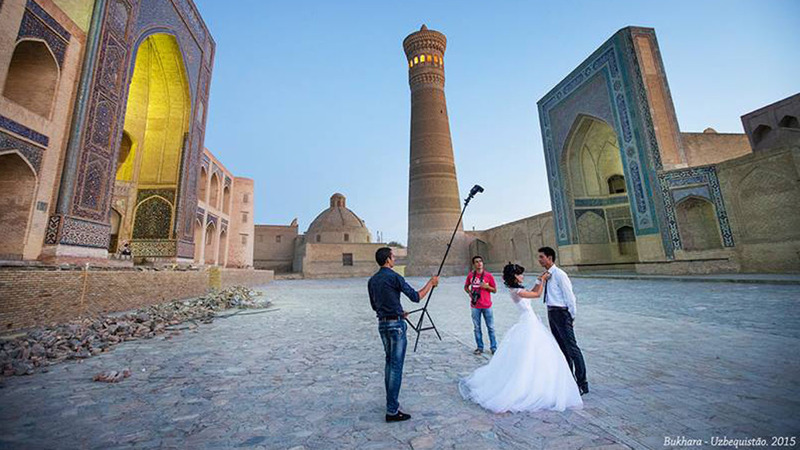 In 2014 is integrated in the team of Morbase, digital platform for cultural heritage, for which performs documentaries. 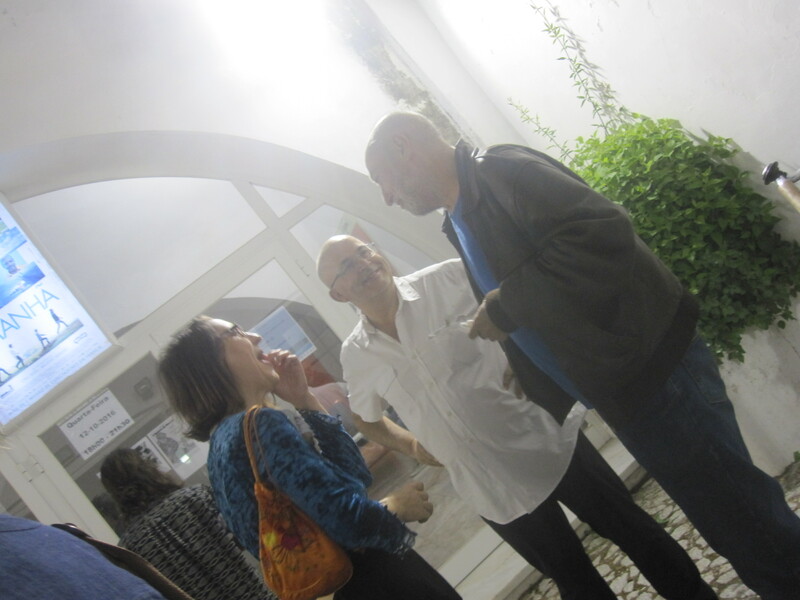 He makes some video art essays including the video installation transitoriness — Montemor-o-Novo, 2012; São Paulo BR UNESP, 2013, and visual Touring Shows, Montemor-o-Novo, 2015. Member of the Convent Workshops — Cultural Association of Art and Communication — ONGD streamlines, since 2012, the imaging department which deals with the video program documentation activities. 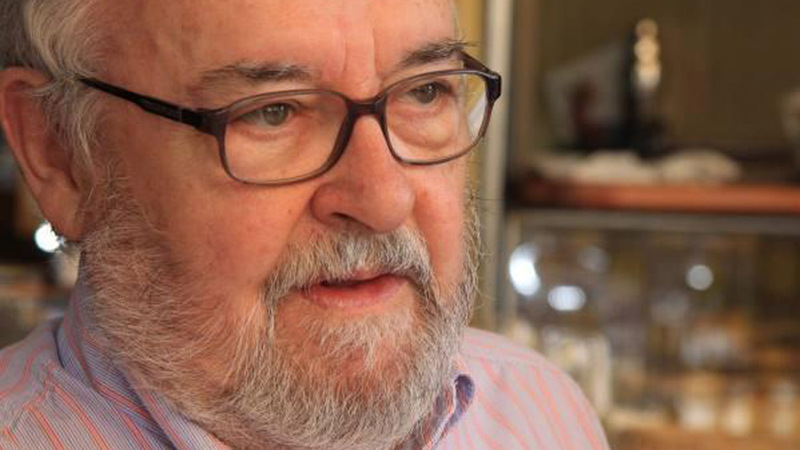 He founded CAL — Cultural Cooperative of Alentejo in which assumes the role of president. Graduated in audiovisual and multimedia since 2004 it has developed several projects in the audiovisual and multimedia, highlighting the co-realization of documentaries: “Pouco a Pouco” (2008) and “Bila Chana, Gentes in Festa” (2009),”Sete Letras” (2012/2013)“Águas Passadas” (2014) and “Branco e Preto”(2014/2015). Conceived projects in the audiovisual area, installations, short films, for internet content, music videos, training, etc. 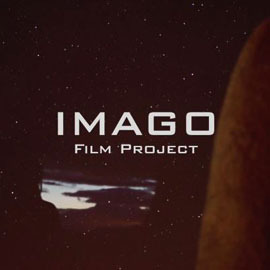 Collaborated and developed projects for filmmakers, cultural entities, plastic / visual artists and industries. 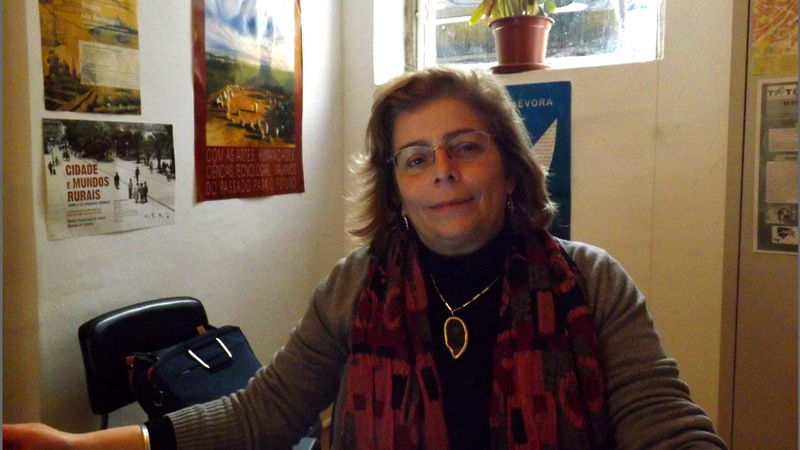 Member of the Associação Cultural de Arte e Comunicação Oficinas do Convento, founder of the “Cooperativa Cultural e Artística CCAAL”. In this activity will be presented the board games “Jogos do Contabando”, by Hugo Morango, and a play sessions will be held with the participants. 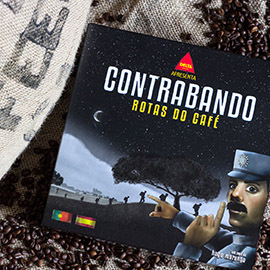 Contraband “Rota do Café” and “Vale do Côa”, created for the Delta Cafes and Territories of Coa ADR, are original strategy games based on the intangible heritage of Raia. 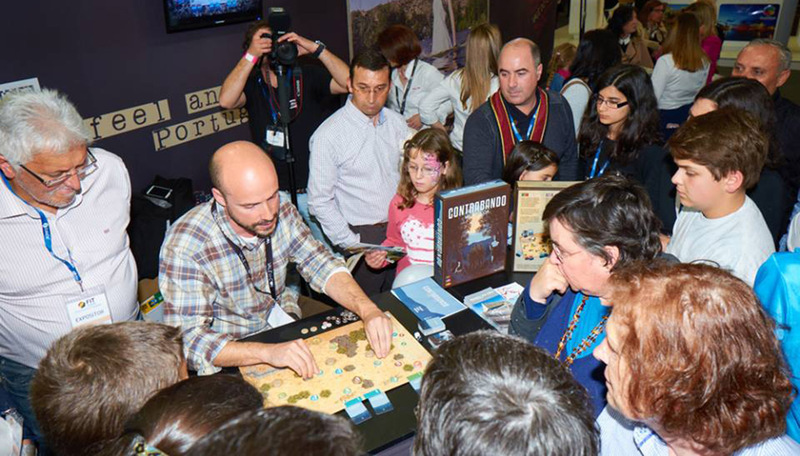 Born as ethnographical collections with former guards and smugglers, in which information result of the investigation was codified in the board game format, emerging a means to experience the adventures of smuggling that promotes the identification and intellectual and emotional involvement with the local heritage. ALCHIMIA (V2): a mysterious or unexplained transmutation, a seemingly magical process of transformation, creation or combination. In a universe where the cameras have become a constant presence, desired or not, our relationship with our own digital representation is often abbreviated to selfie, prepared as if it was a mirror, where we project a vision of our “I” whose pose, illumination and expression we absolutely control and want to share with others. Alchimia seeks to enhance this relationship, bring it to a very present plan, to focus visually only on the observer’s face, trying to keep this face always in the spotlight regardless of their spatial position relative to the system, while ensuring that the same position space will affect other parameters of the representation / transmutation. Alchimia transforms the face of the observers, changes his expression, their gender, puts them masks, makes its diffuse traits and calls for heightened expressiveness, a search of our other “I” who will forget the composure the selfie to explore many other expressions. Pedro Alves Da Veiga (1963, Lisbon, Portugal) creates media artworks and mixed media artworks. By contesting the division between the realm of memory and the realm of experience, Alves da Veiga absorbs the tradition of remembrance art into daily practice. This personal follow-up and revival of a past tradition is important as an act of meditation. His collected, altered and own media artworks are being confronted as aesthetically resilient, thematically interrelated material for memory and projection. The possible seems true and the truth exists, but it has many faces, as Hanna Arendt cites from Franz Kafka. By studying sign processes, signification and communication, he makes work that generates diverse meanings. Associations and meanings collide. Space becomes time and language becomes image. His works question the conditions of appearance of an image in the context of contemporary visual culture in which images, representations and ideas normally function. With Plato’s allegory of the cave in mind, he makes work that deals with the documentation of events and the question of how they can be presented. The work tries to express this with the help of physics and technology, but not by telling a story or creating a metaphor. His works are an investigation into representations of (seemingly) concrete ages and situations as well as depictions and ideas that can only be realized in media art. 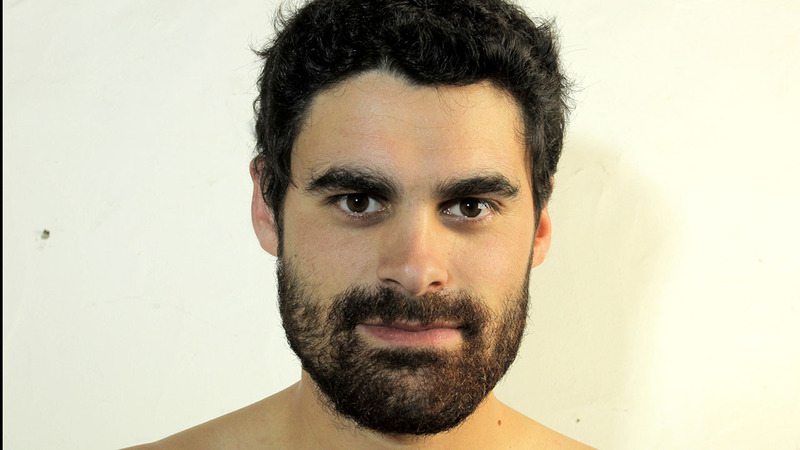 Pedro Alves da Veiga currently lives and works in Estoril. The Silk Road unfoldes a set of routes that linked the Far East to the Mediterranean Sea, across most of the world known until then, to sell this and other products to European traders. Since the sixth century. B.C. several caravans roamed inhospitable and unknown lands a distance of over 8000 kilometers, establishing trade and also cultural exchanges between two worlds so distant and strangers to each other. That was the core of my interest in this topic. Lebanon, Israel and Palestine, Jordan and also Syria, countries that no longer exists as lived and photographed. After my experience in Iran, I continued to Central Asia, the territories of Uzbekistan and Kyrgyzstan, to reach the final destination, China. 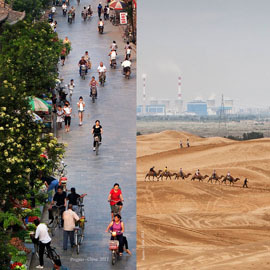 I did not leave in search of what remains of the last of the Silk Road, but the lives of those who live there today, the day-to-day culture, of their dreams, or their vision of the West. This exhibition is therefore a record of the human condition over thousands of kilometers were meeting point of different peoples and cultures, in contrast to the contemporary world, where the difficulty of knowledge and acceptance of the other is increasing. 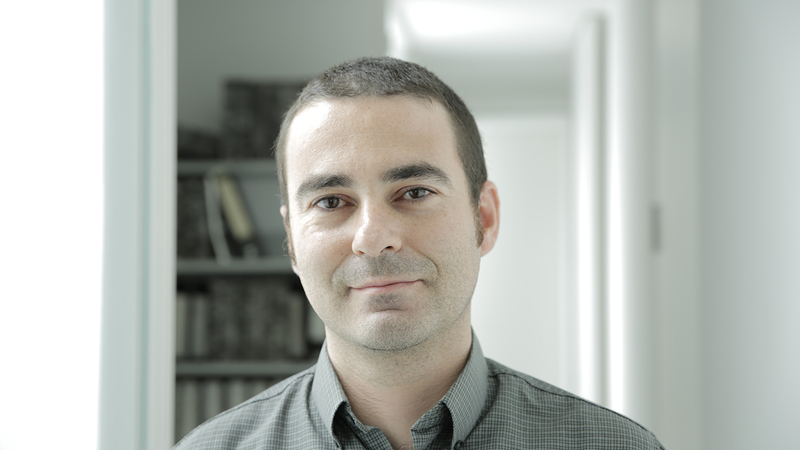 Born in 1980, native of Lousã, he is a professor of history and photographer. In 2000 he stars its collaboration in the newspaper Trevim, the local information biweekly, in this year he wins the first prize and an honorable mention in a photo contest. With the money obtained, travels around Europe on his first InterRail. In 2002 begins a new phase of his life to go to Siena, Italy, in order to live one year under the Erasmus university program. In the following years, will travel with their cameras throughout Europe and the Middle East (Turkey, Jordan, Syria and Egypt). He leaves in the autumn of 2007 to the Azores to teach there. Take advantage to take a gap year to the United States in 2009 and heads to Cuba to get a personal view on the island of Fidel. The next year, Russia will be the chosen destination. 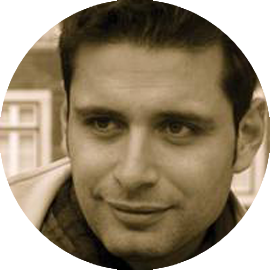 He travels to China in 2011 and the following year gets fascinated by Iran. He catches a boat to Dubai in the United Arab Emirates and still goes through Oman to get his feet wet in the Indian Ocean. 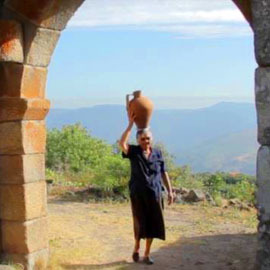 In 2013 leaves to the discovery of the Caucasus, covering Georgia, Armenia and Azerbaijan, beyond the self-proclaimed independent republics of Abkhazia and Nagorno Karabakh. In 2014 records Lebanon, Jordan, Israel and Palestine, very sensitive territory and eternal dispute. The following year he directed his trip to Central Asia, in Kyrgyzstan and Uzbekistan. Currently travel leader of Fotoadrenalina, a project that promotes photographic expeditions around the world. 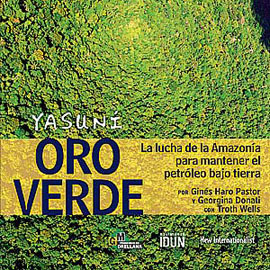 The Yasuní is one of the most bio-diverse places in the world and home to one of the greatest genetic varieties of plants and animals on Earth. It spans nearly a million hectares of almost untouched primary rainforest and is situated in the Ecuadorian Amazon, predominantly in the province of Francisco de Orellana. The Yasuní National Park is famous for its extraordinary and unique biodiversity. For example, the forest accommodates the largest number of species of trees per hectare in the world. Only one hectare of the Yasuní is home to the same number of native tree species as the whole of North America. The Park contains 44 per cent of the Amazon Basin’s birds, making it one of the world’s richest avian sites. The statistics are similarly plentiful for the variety of bats, amphibians, reptiles, bees and other creatures. In 1989 UNESCO declared the park a Bio-reserve and Cultural Heritage site due to its exceptional diversity and the presence of the Taromenane and Tagaeri people. The Ecuadorian national government declared 700,000 hectares of the park an ‘Untouchable Zone’. The designation implies that the zone is to be protected from any mining, oil activity, logging, colonization or anything that might tamper with the biodiversity and ethno-cultural nature of the area. 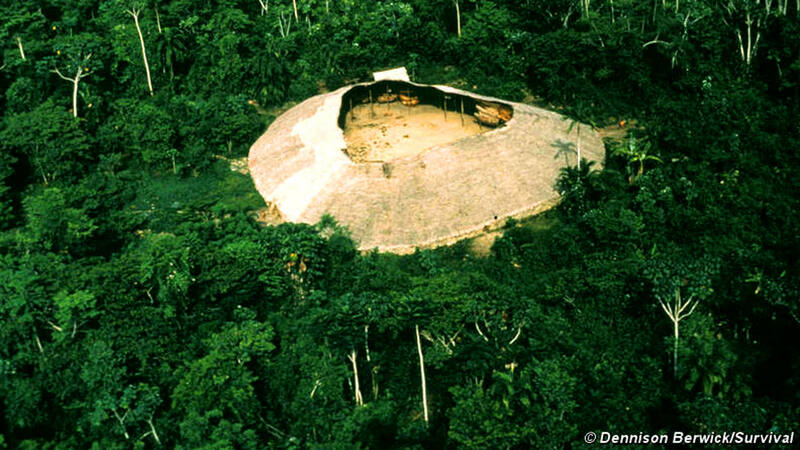 Inside and around the Yasuní National Park live various indigenous groups including the Waorani, Kichwa and Shuar. 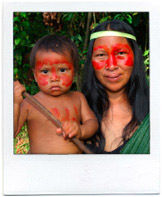 The Waorani, who have been living in harmony with the Yasuní for centuries, have now begun to lose their home due to oil exploitation, deforestation and colonisation. 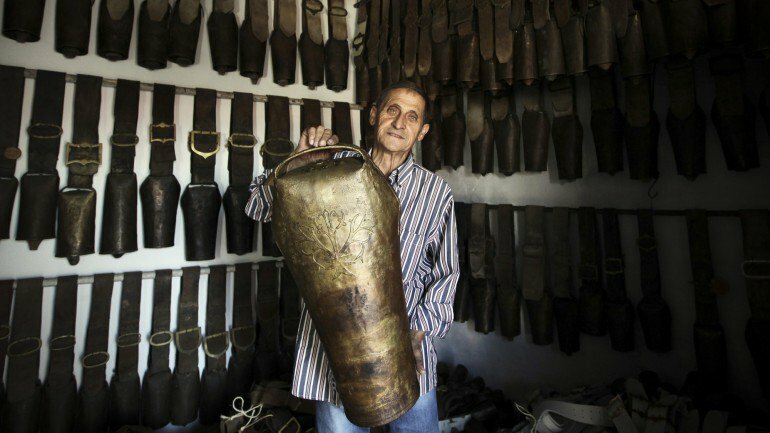 aged to preserve aspects of their culture and live in the most traditional way possible resisting and fighting against further infringements on their rights. Entrepreneur, Social Enterprises & Internet passionate. Worked at The Guardian Social Enterprise Network: The world´s biggest online platform for social entrepreneurs. – “Best Social Movement Award 2010” by the Andalusian Enviromentalist Professional Association (Spain). – 2º position spanish´ blog, social & evironmental category. Bitacoras RTVE contest. – Wyse International Leadership scholar. 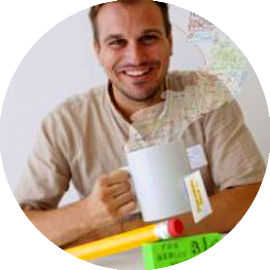 – “European Erasmus Young Entrepreneur” by the European Union. 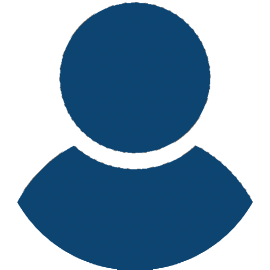 – Riley Scholar for Social Entrepreneurship. Specialties: Social Leadership, Social Entrepreneurship, Personal and Professional Development, Social Marketing, Social Innovation, Strategy, Social Enterprises, Social Business, Networking and Technology for Social Impact. A time of writing, some of the stories that the two campaigns Luso-American team digs gave to know. 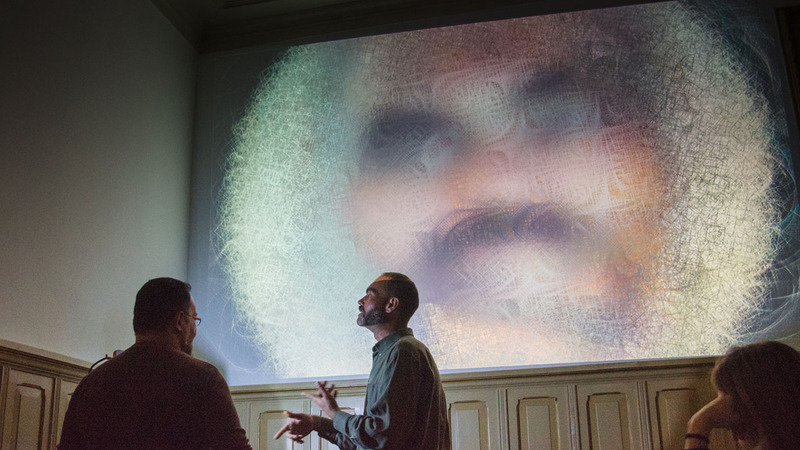 Through the use of digital methods and reproduction of replicas of some of the most exemplary objects, you can visitors get to know closely Kani Shaie and its more than two thousand years of history. Replicas presented to the scale will count parts of this long journey; virtual reality will allow the visitor to perceive 3D the site and the landscape of this region. We intend to make known archaeological work and demonstrate the importance of this place for the writing of history and time, as well as through new materialities disclosure, demonstrate that it is possible to communicate in a comprehensive and interactive way science. BA in Archaeology and History from the University of Coimbra, MA in Archaeology and the same university, with a postgraduate degree in European Heritage, Media and Information Society, held at the Universities of Coimbra and Salento (Lecce, Italy). 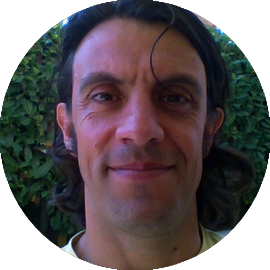 It is currently researcher at the Center for Studies in Archaeology, Arts and Heritage Sciences (CEAACP) of the University of Coimbra. 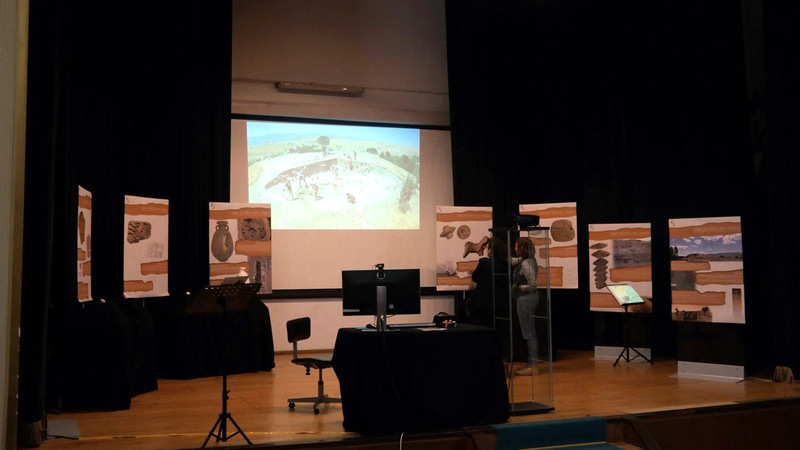 Among the projects which is involved he has several virtual reconstruction and digital archeology in Portugal (such as the Virtual Museum Votive Deposit Garvão), Syria (Spaces and Architectures in Tell Beydar) and Iraqi Kurdistan (Kani Shaie Archaeological Project). 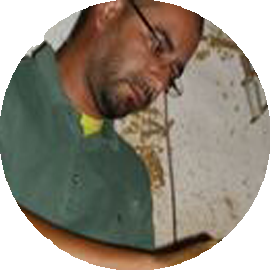 Doctoral student in Archaeology at the University of Coimbra and co-director of the Archaeological Project Kani Shaie (Iraq). 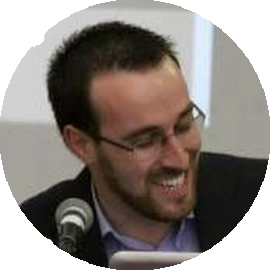 Developed field work within research projects in Portugal, Angola, Morocco, Syria and Iraq. 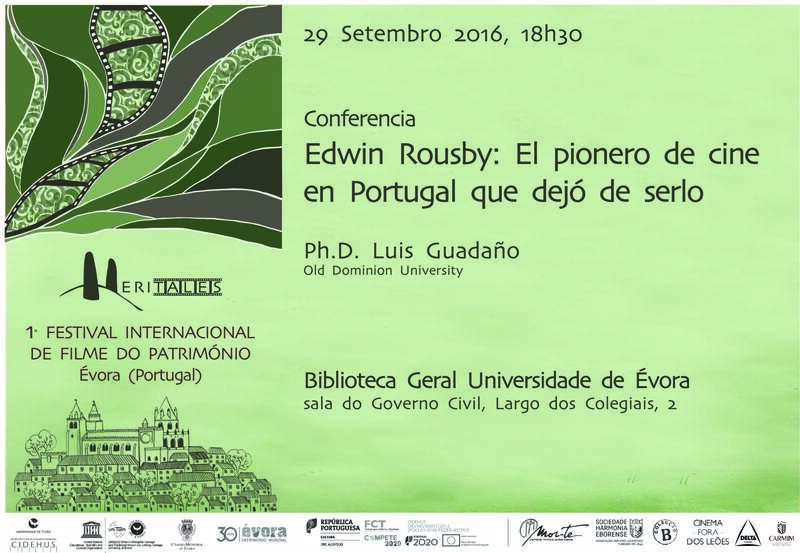 Is Invited Lecturer of the Faculty of Arts of the University of Coimbra and researcher at the Center for Studies in Archaeology, Arts and Heritage Sciences. Maria Zozaya studied History in the Complutense University of Madrid (UCM), there was awarded with the BA prize and the PhD Extraordinary Prize for doctoral dissertarion in History (UCM). 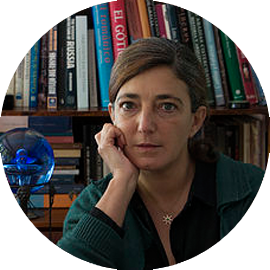 She also received the Real Maestranza de Caballeria de Ronda Award (RMR, 1999); the Spanish Social History Society Research Prize (AHS, 2007), and Villa de Madrid Award Antonio Maura (2008). She studies leisure and sociability spaces. 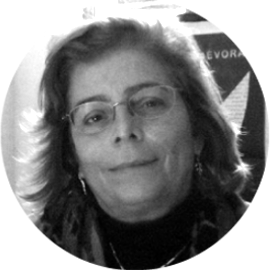 She had several research grants held at the National Council for Spanish Research, CSIC (1998-2008), a “Juan de la Cierva” Postdoctoral research contract (Valladolid´s University, 2008-2011), and a FCT Postdoctoral Grant to do research (University of Évora, since 2013). She has given many conferences and has written five books. 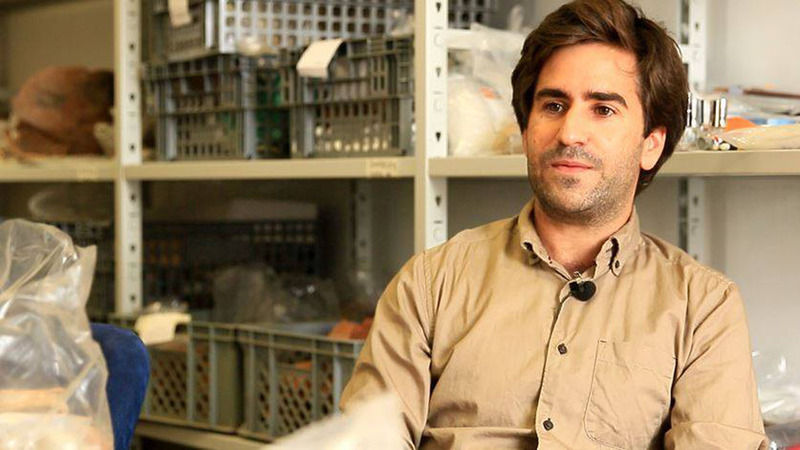 Sónia Bombico (b.1983) is an archaeologist with a specialization in Nautical and Underwater Archaeology. 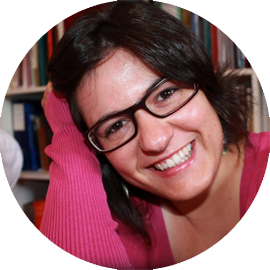 She have completed her Master Degree of Historical and Cultural Heritage in University of Évora in 2011; and currently is a Ph.D Student in History (Cidehus-University of Évora) with a Doctoral scholarship of FCT (Fundação para a Ciência e Tecnologia). 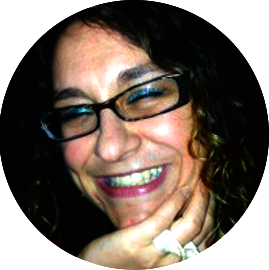 She is a researcher in Roman Maritime Economy, Maritime Routes and Underwater Cultural Heritage with several oral presentations, posters and publications in International Congresses in Europe (Portugal, Spain, France, Italy, Germany and Nederland’s). 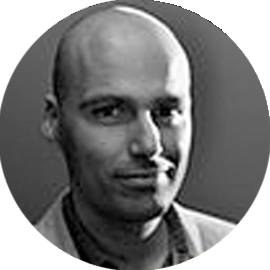 And is co-organizer of several conferences and workshops of Cultural Heritage. PhD in History from the University of Évora (Heritas Program – Heritage Studies) and CIDEHUS-EU member, conducts studies on industrial heritage, particularly in the south of Portugal, especially in the industry of the Alentejo marbles, still vice President of CECHAP – cultural studies Center, history, Arts and heritage, non-profit association based in Vila Viçosa, which view to promoting studies and decentralize culture, history, arts and heritage. 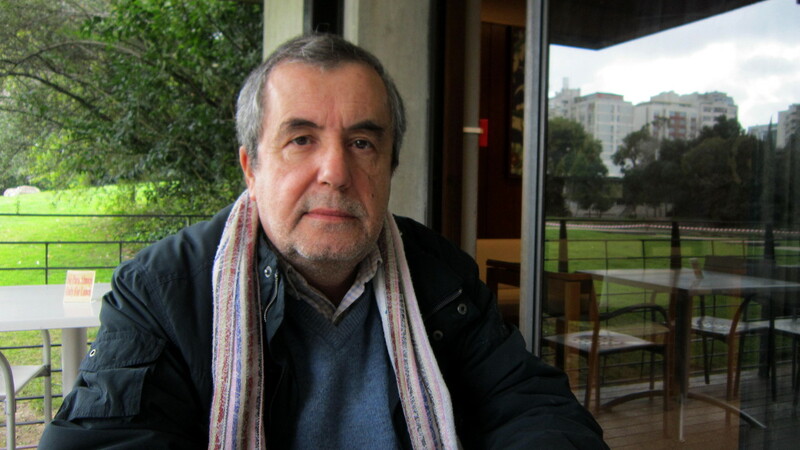 Aggregate professor of the School of Social Sciences of the University of Évora (Portugal). Doctor in History / Museology and Aggregate in History and Theory of Museology. Researcher Integrated CIDEHUS / EU. Director of the PhD in History. He was General Director of the Institute of Museums and Conservation of the Ministry of Culture.